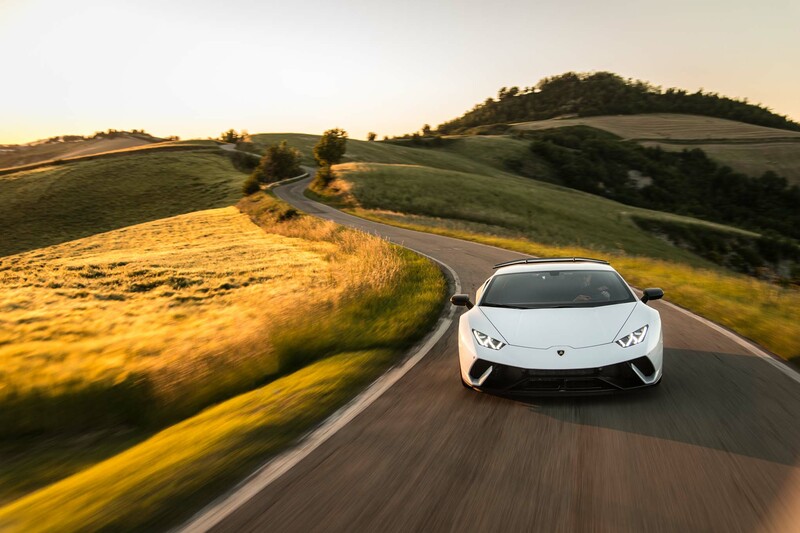 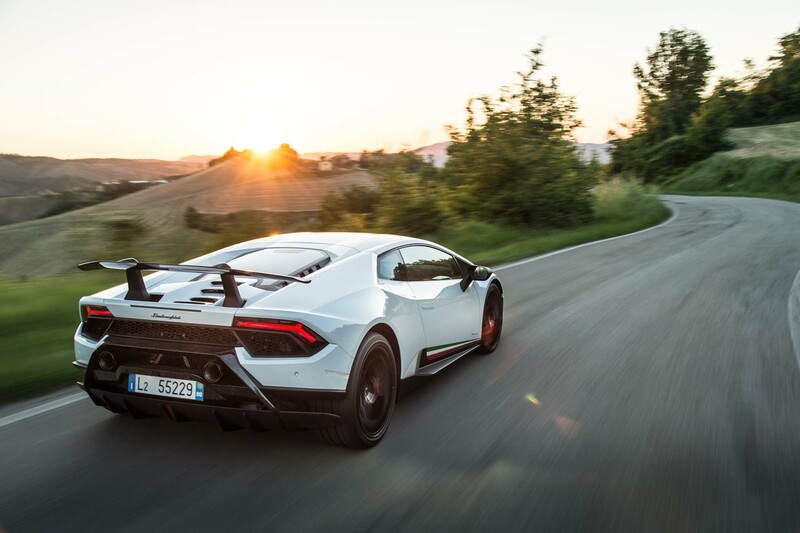 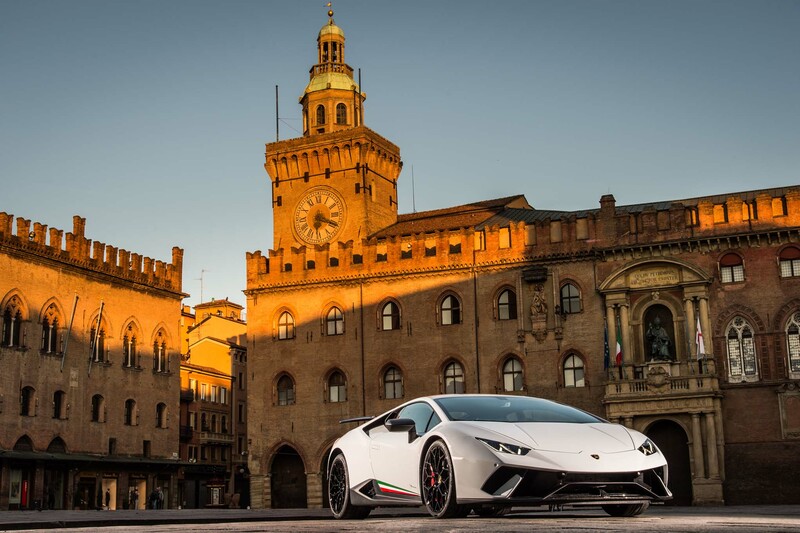 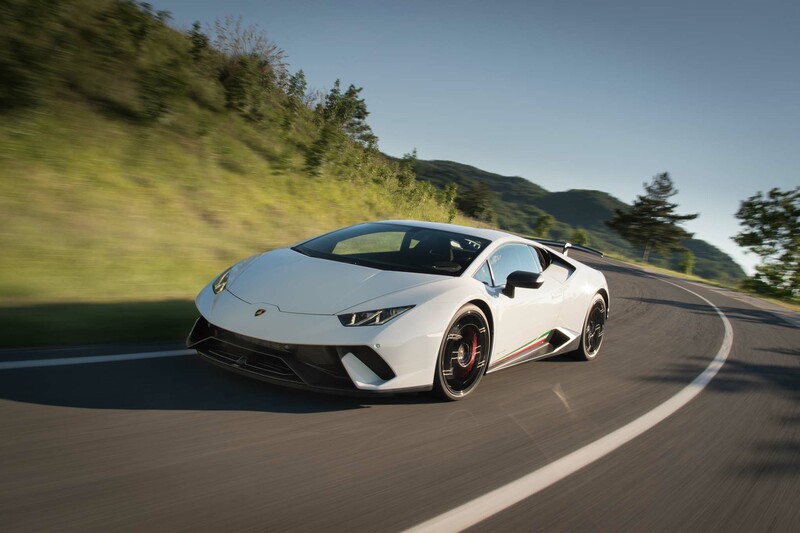 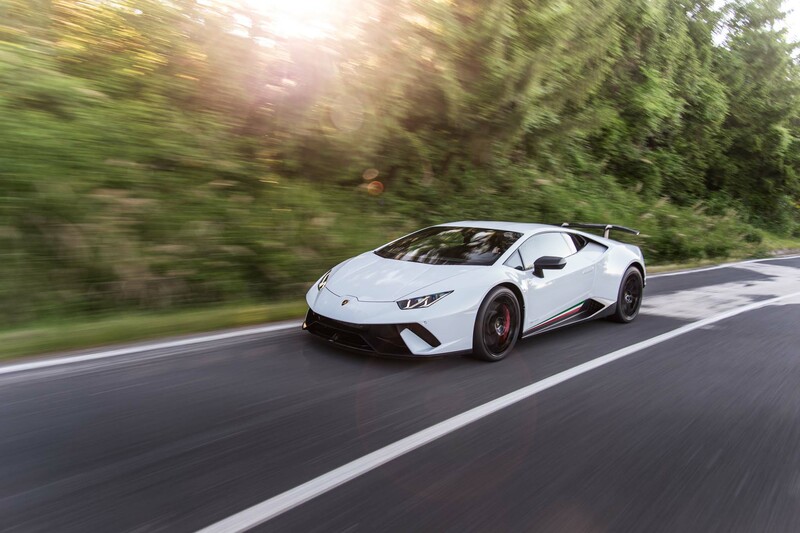 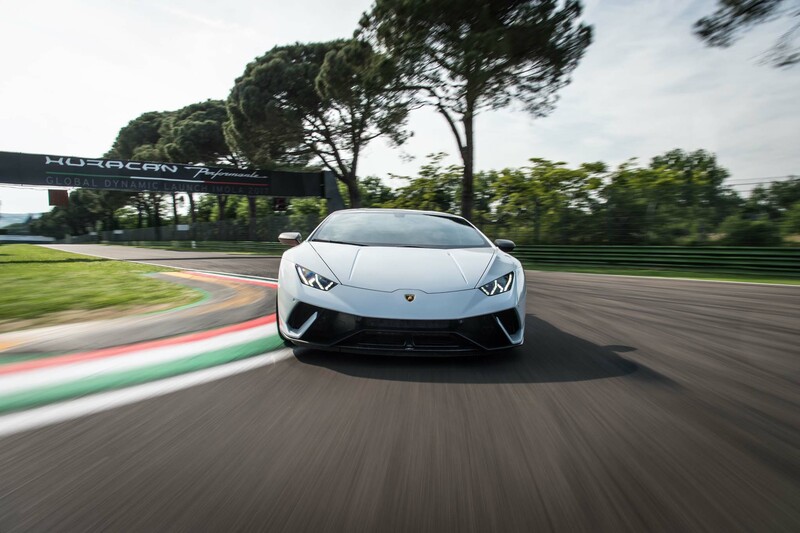 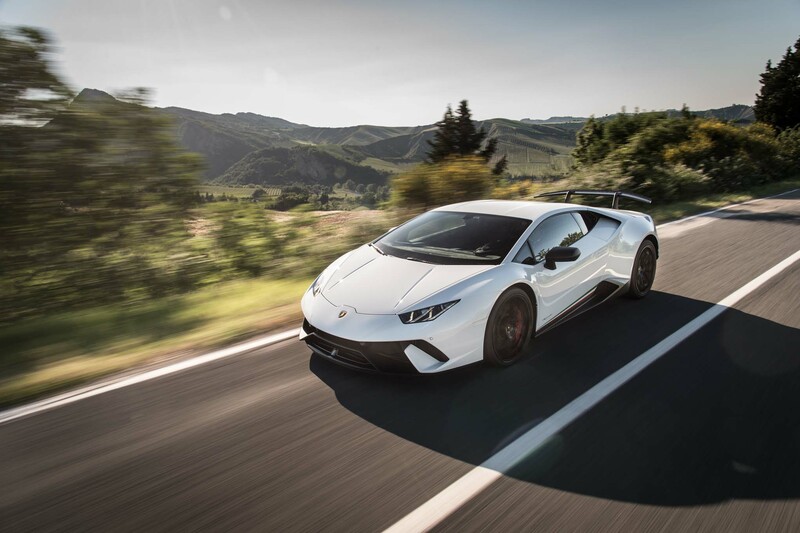 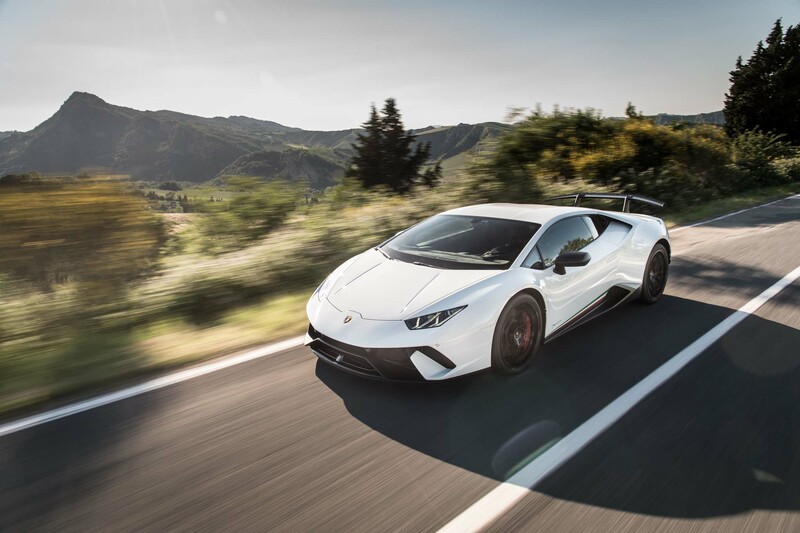 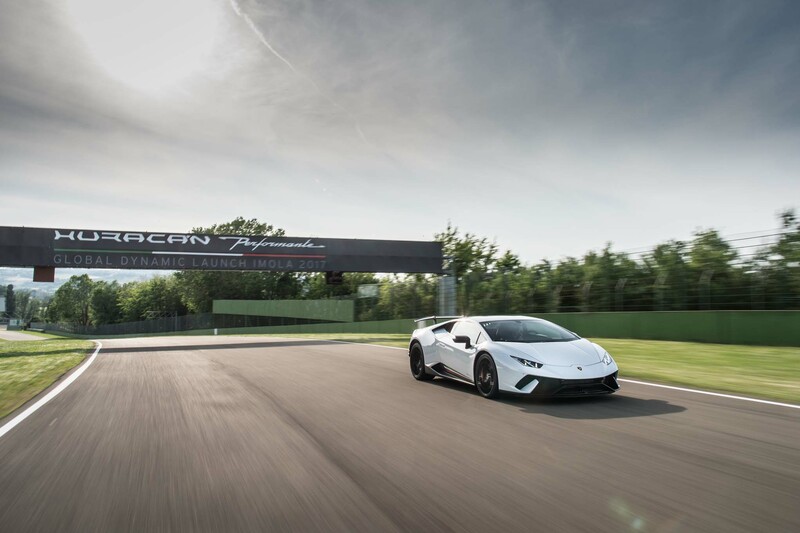 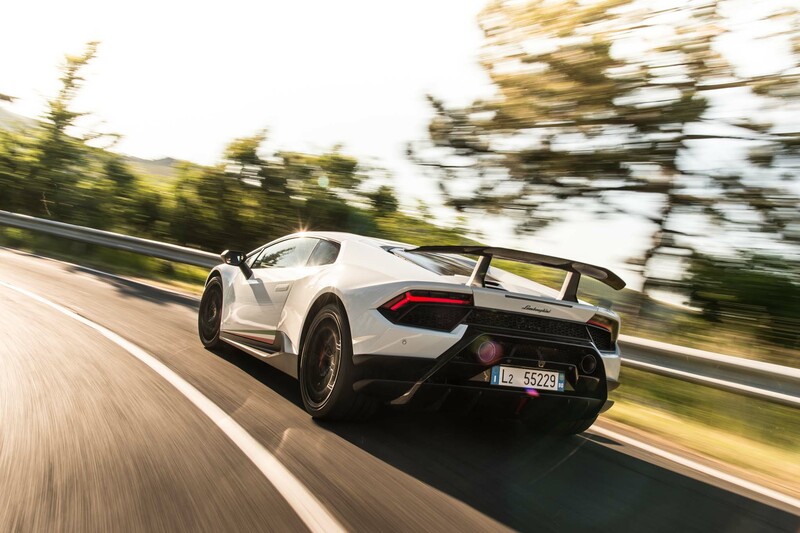 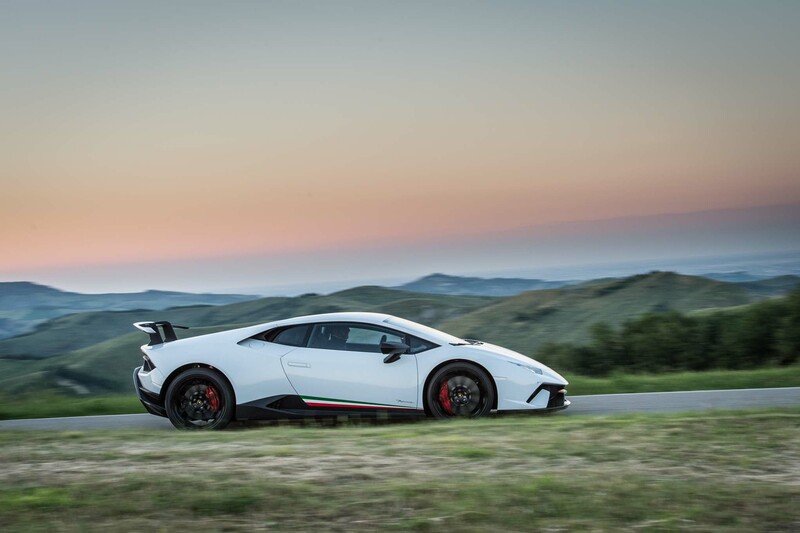 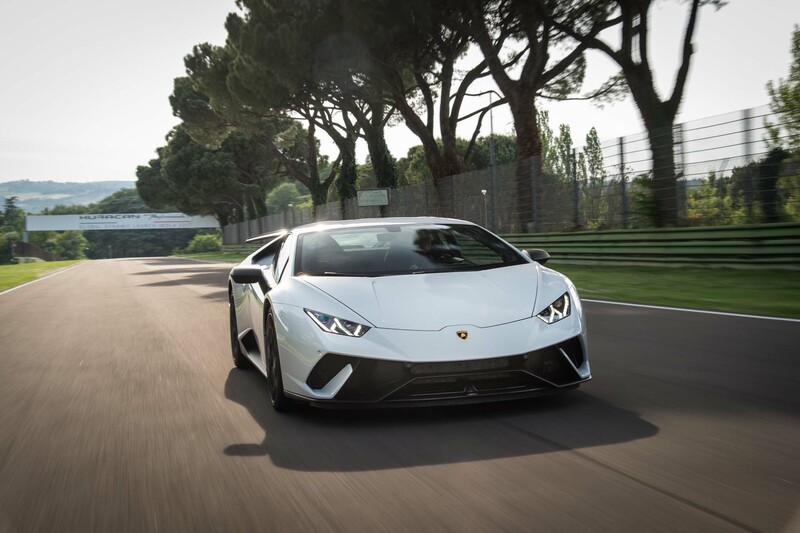 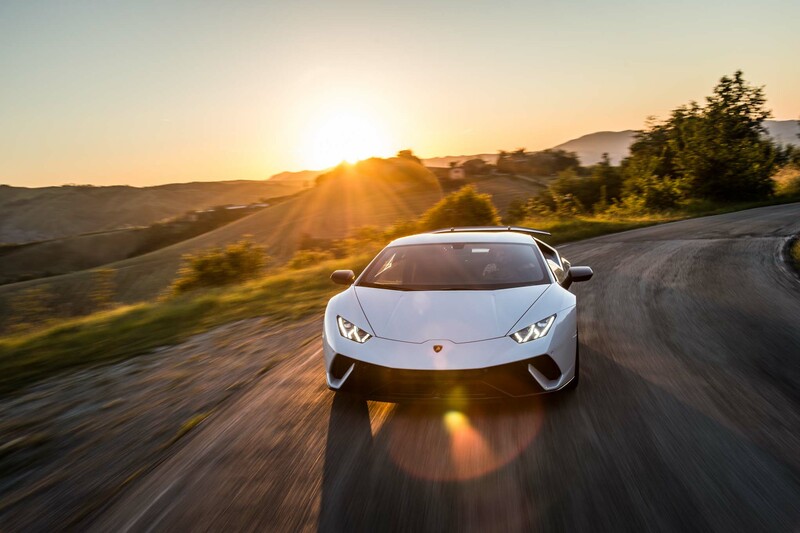 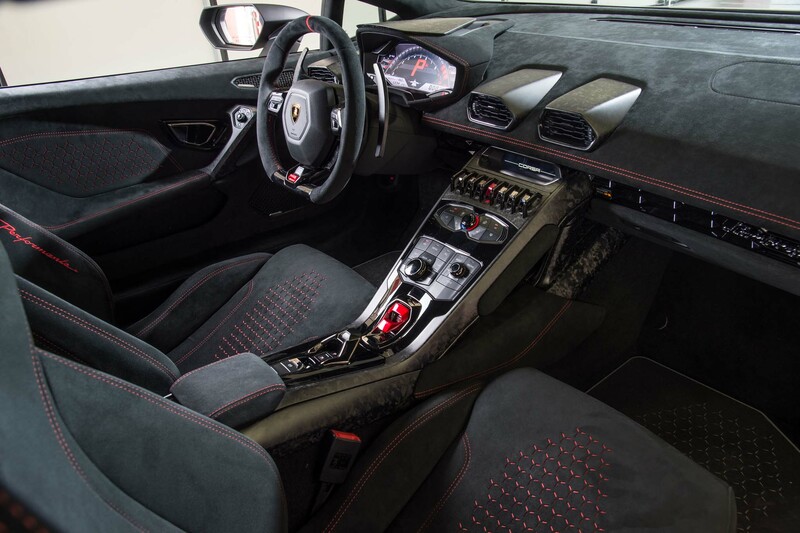 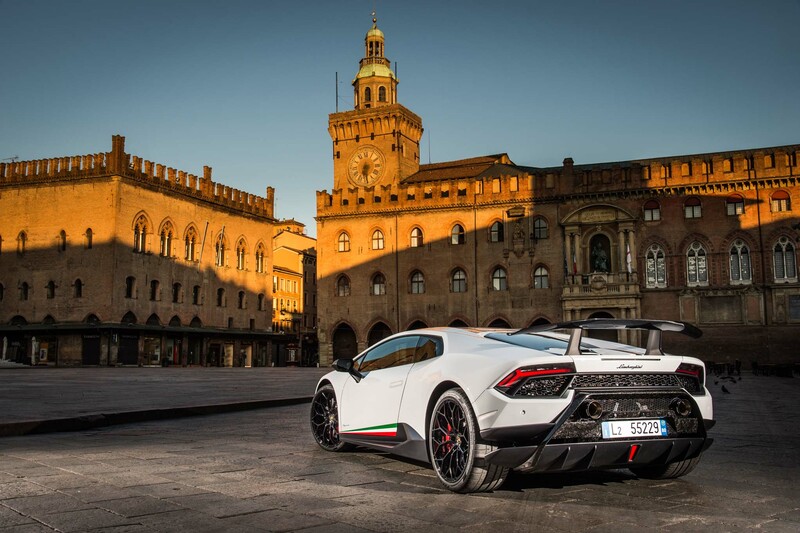 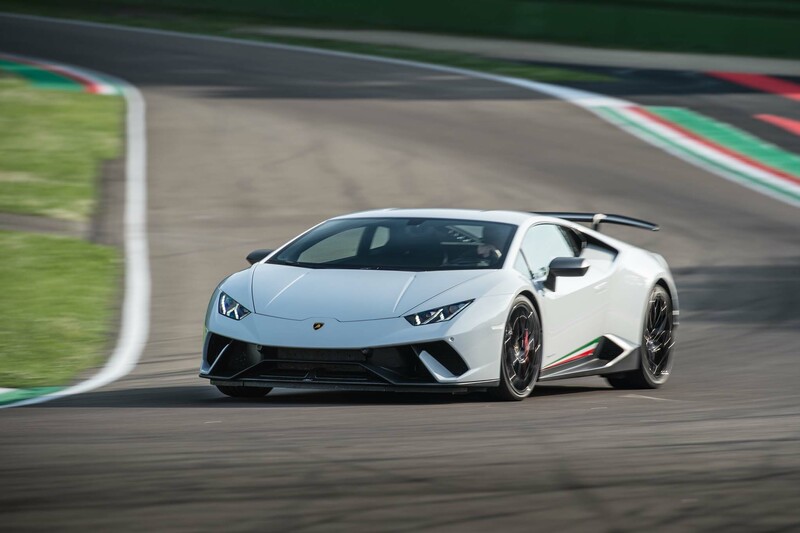 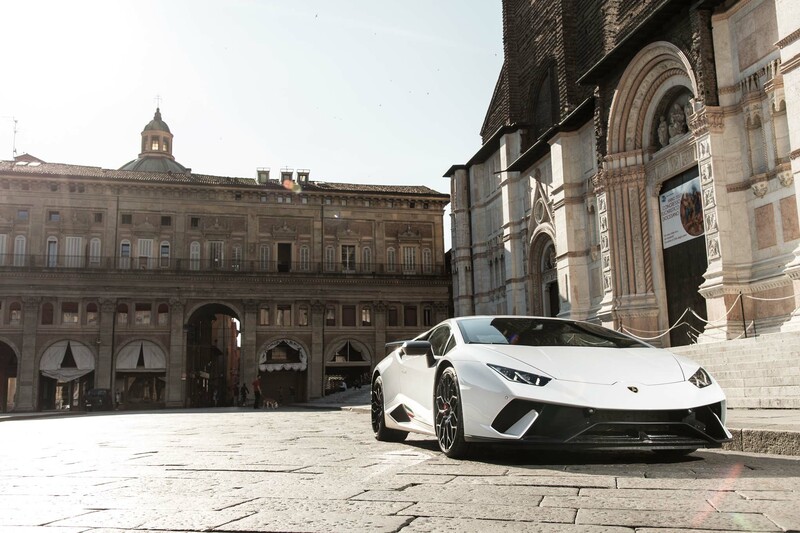 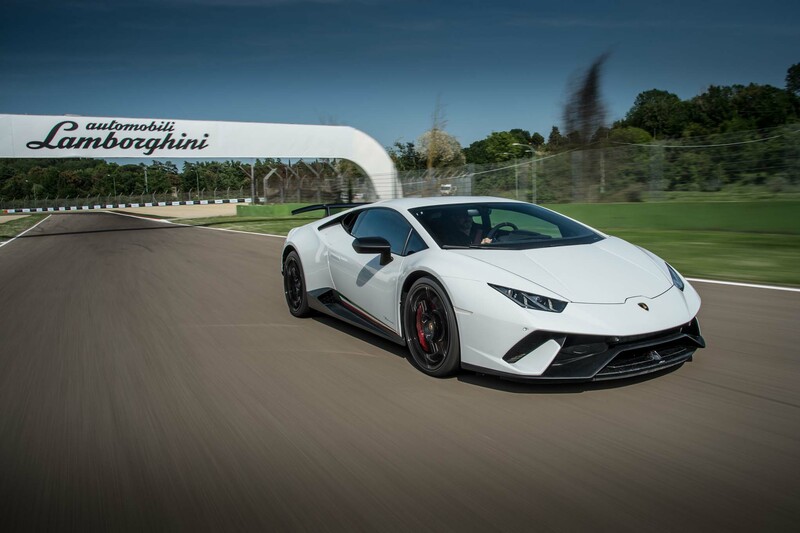 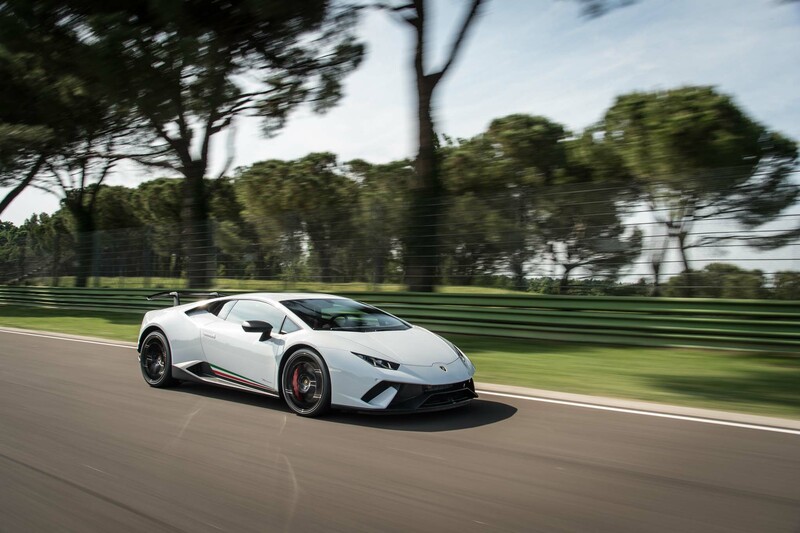 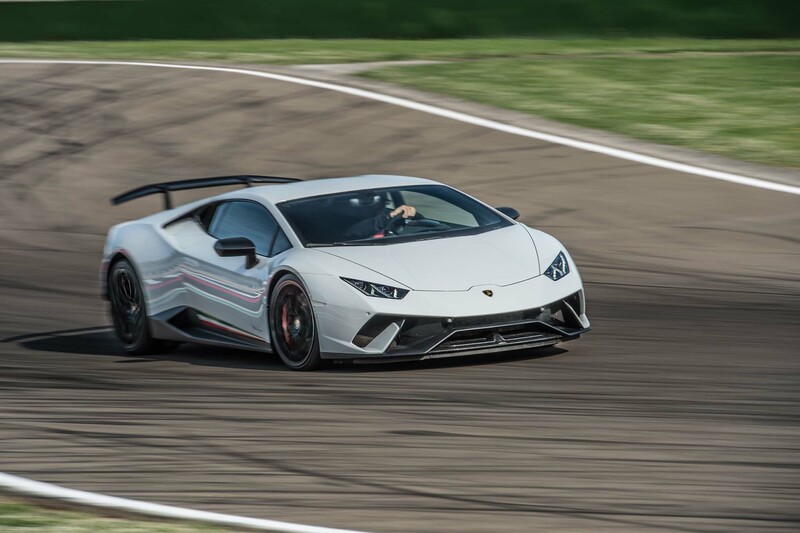 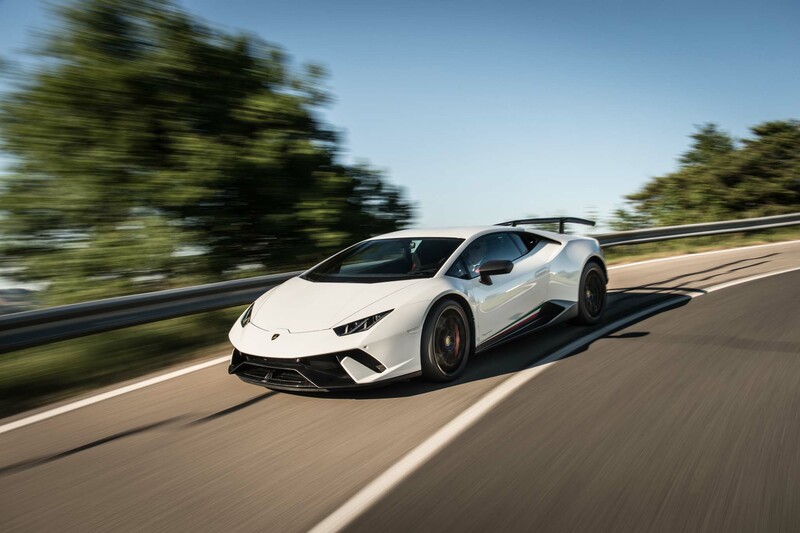 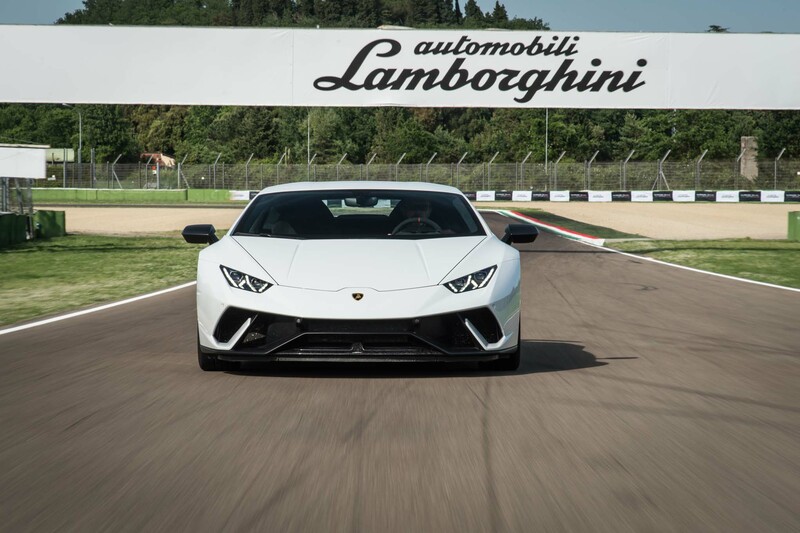 IMOLA, Italy – Lamborghini’s confidence in its 2018 Huracán Performante must be substantial, given the way it introduced the car to a group of automotive journalists who had, to say the least, varying degrees of experience in high-performance driving. 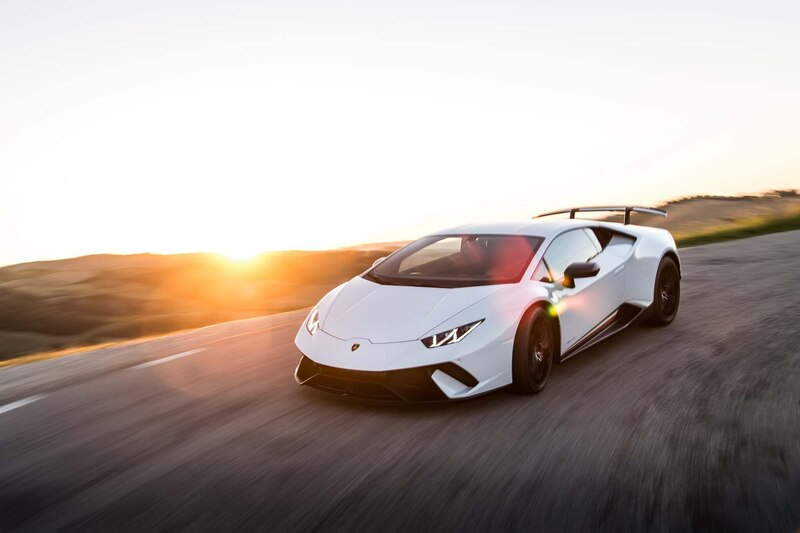 No helmet, no driving suit, no harness, no real coaching, and no instructor in the passenger seat. 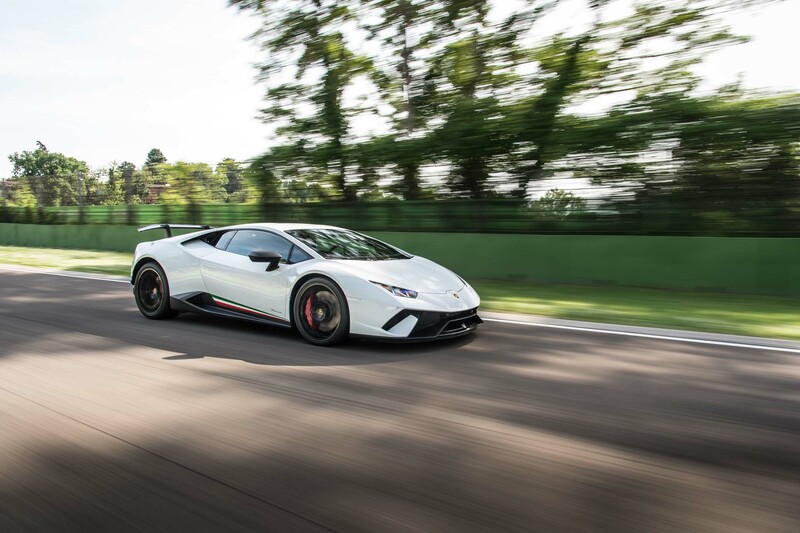 With just the three-point seat belt holding us in place in a car we’d never even sat in before, on a very fast road course most of us had never driven, we were turned loose. 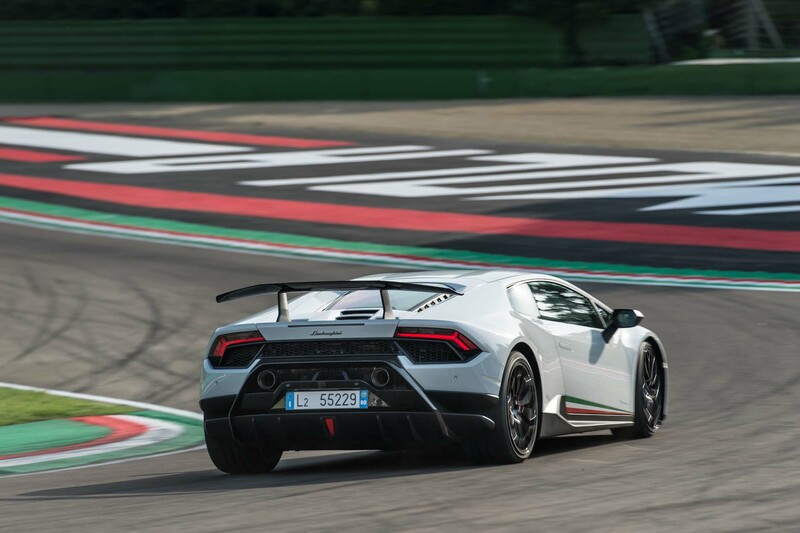 Yes, it was a lead-follow behind an instructor, but by the end of the first of four on-track sessions, we’d learned one thing very quickly: The Huracán Performante is a very fast and surprisingly forgiving supercar. 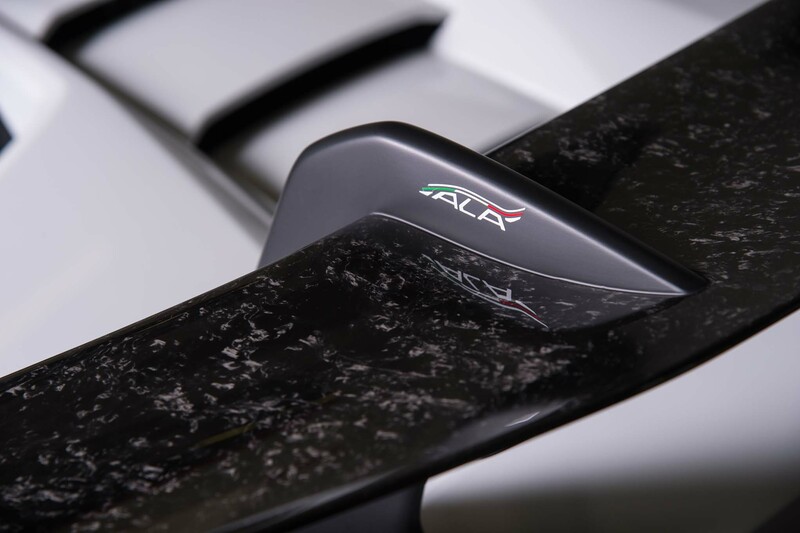 Case in point: Although there were several minor excursions off pavement of the 3-mile Autodromo di Imola course, at the end of the day, the worst damage appeared to be a scuff or two from pylon assault. 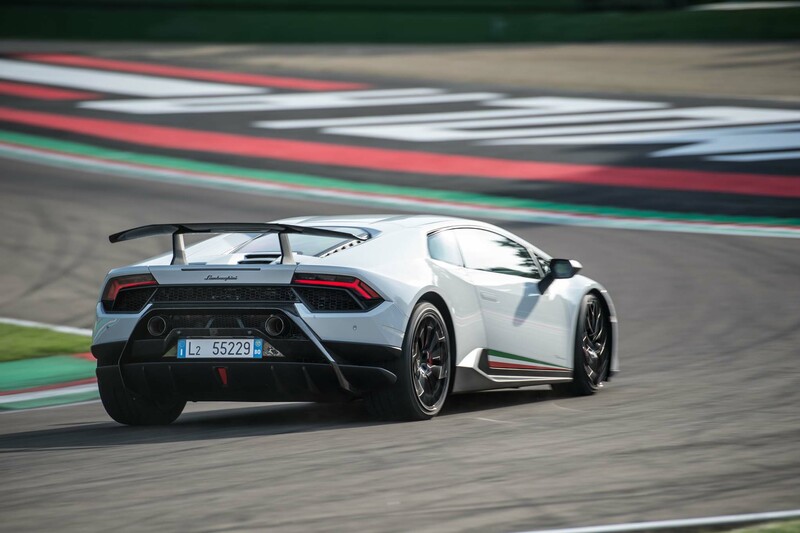 So our expectations for the Huracán Performante were initially tempered by knowing what the Lambo engineers had to work with. 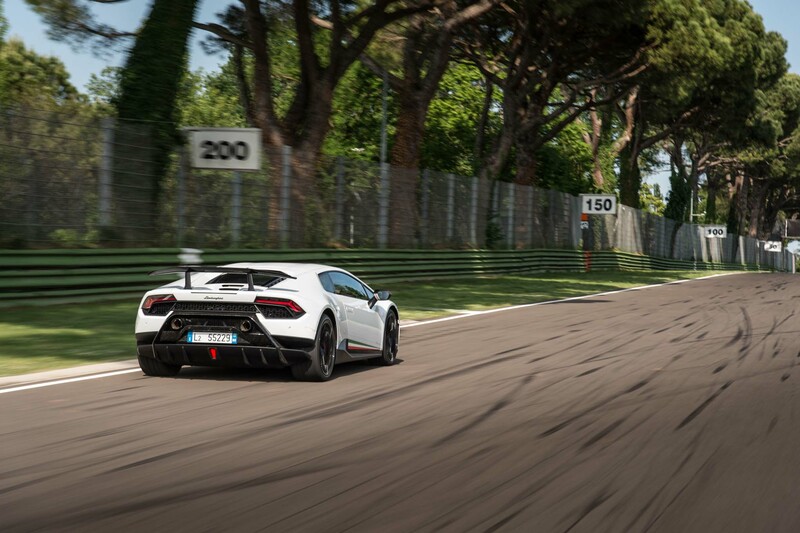 Those expectations were raised when Lamborghini publicized its record run of 6 minutes, 52.01 seconds around the Nürburgring’s Nordschleife circuit, making it the fastest lap ever turned by a production car – at least until the electric Nio EP9 went faster, but whether you consider the Nio a true production car is up to you. 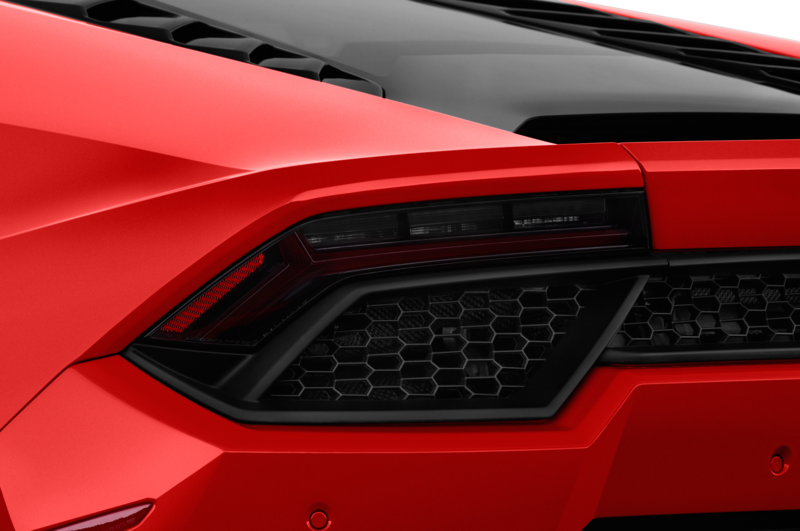 We don’t, not yet anyway. 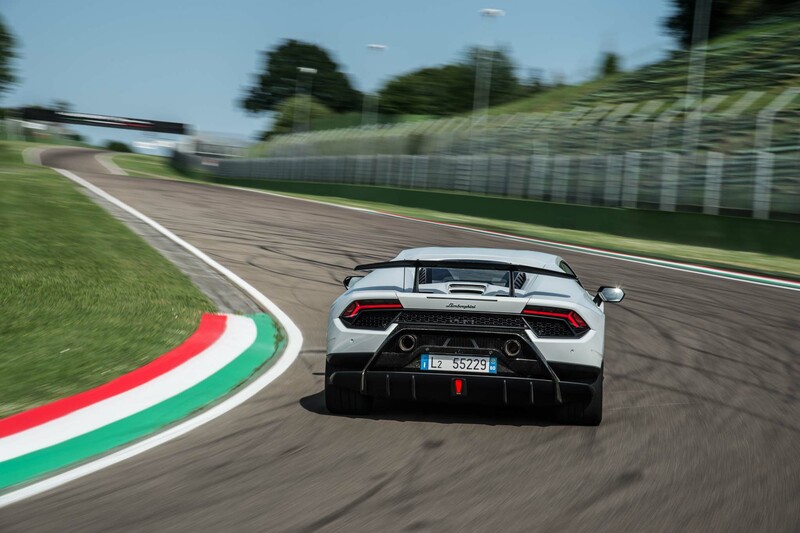 But lapping the ‘Ring at under 7 minutes is impressive no matter what you are driving, and doing it about 5 seconds quicker that the much more expensive Porsche 918 Spyder earns you a lot of credibility. 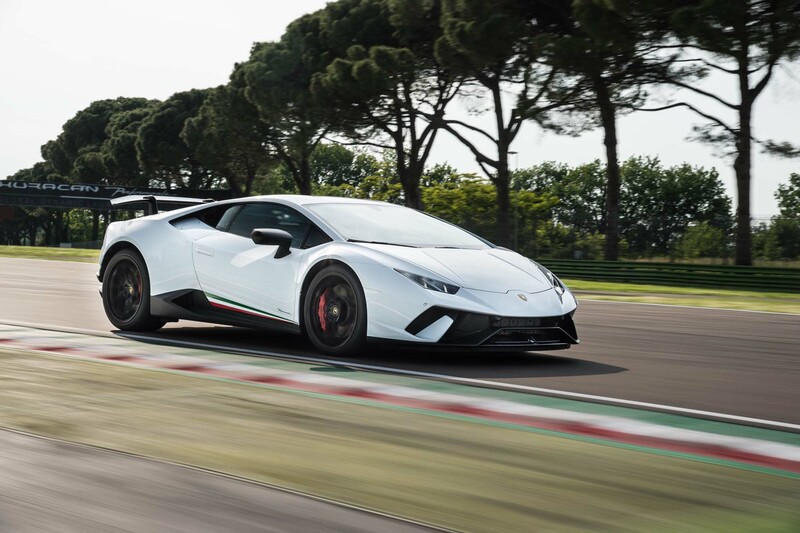 The Huracán Performante starts at $274,390, about $30,000 more than the base Huracán. 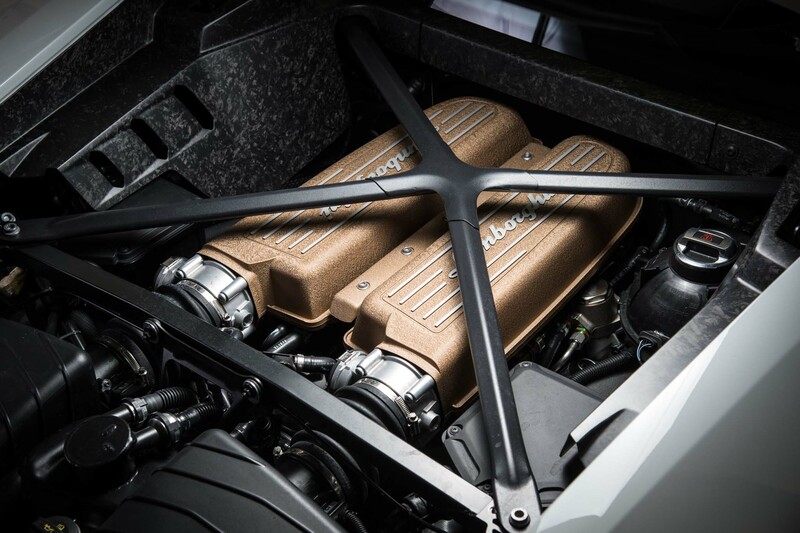 That premium gets you a lot of extra performance and engineering. 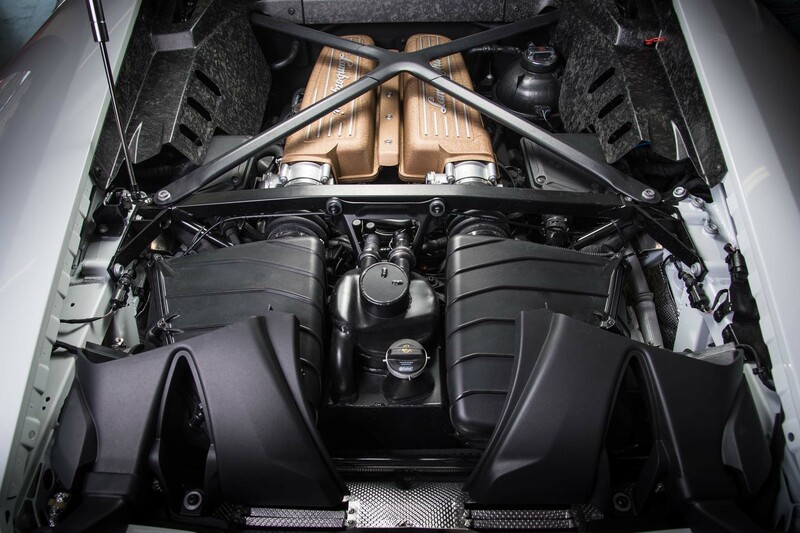 Its naturally aspirated 5.2-liter V-10 (unlike competitors such as Porsche and Ferrari, Lamborghini is steadfastly sticking with naturally aspirated engines as long as environmental regulations will allow) makes 630 hp and 443 lb-ft of torque, 28 hp and 30 lb-ft more than the regular Huracán. 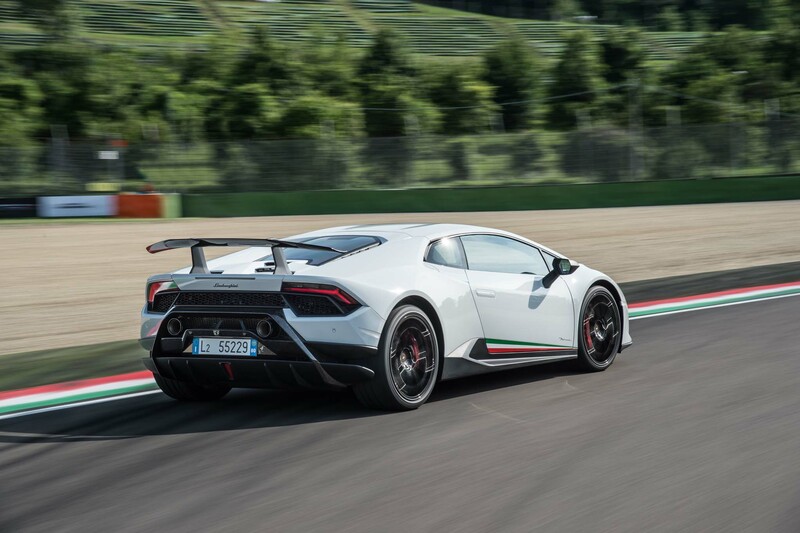 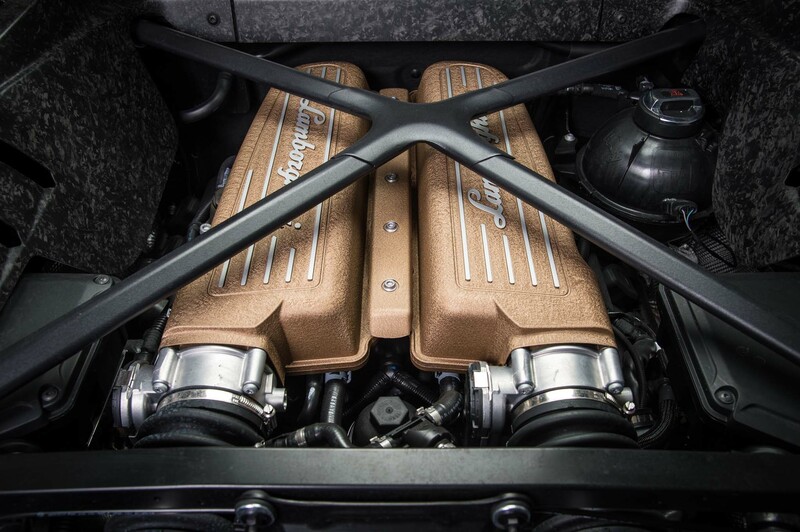 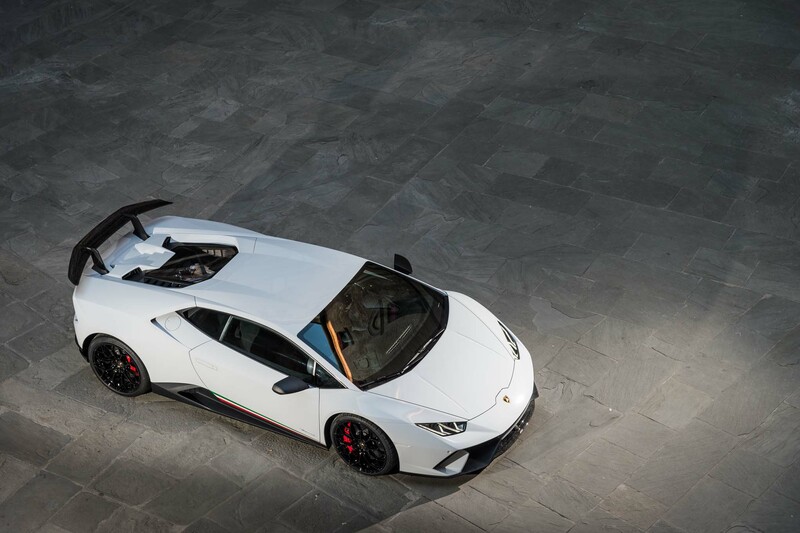 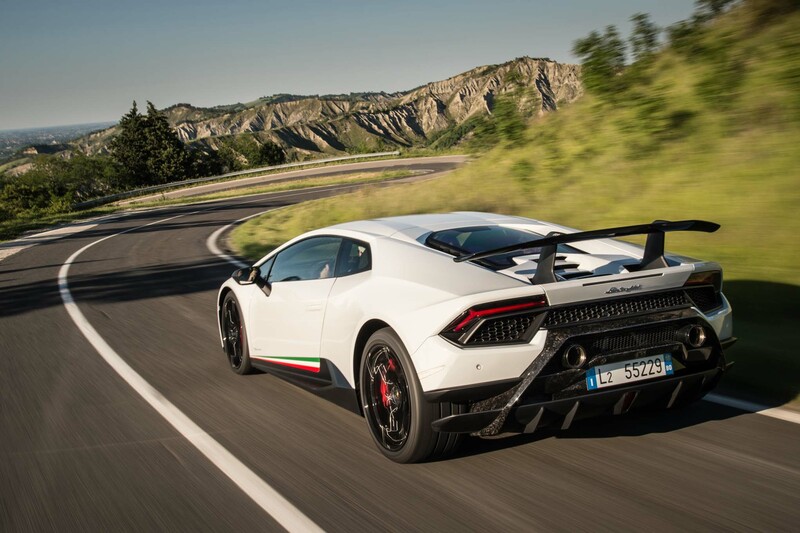 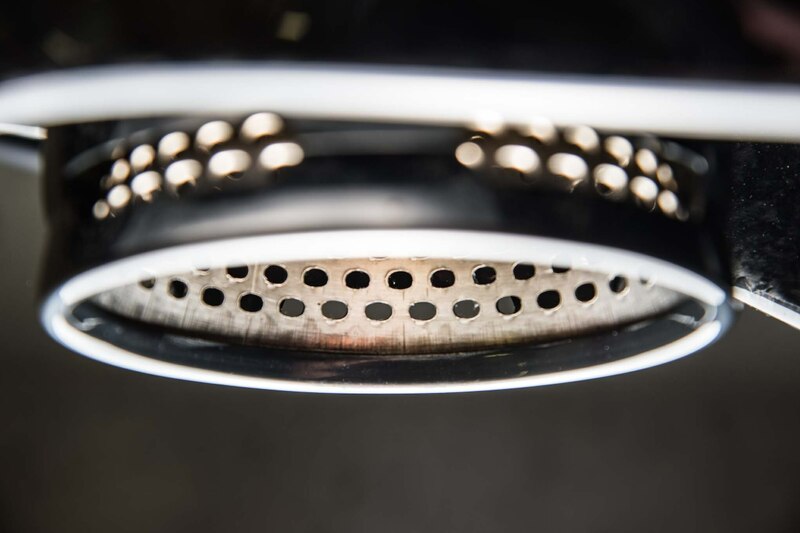 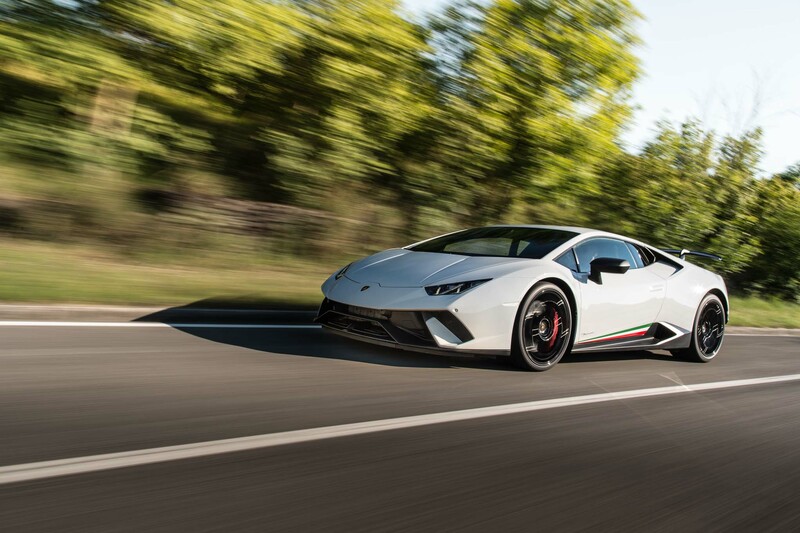 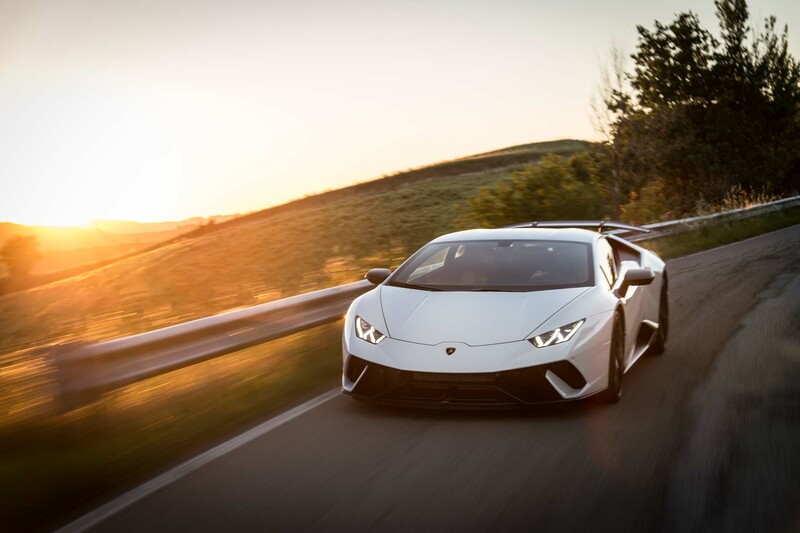 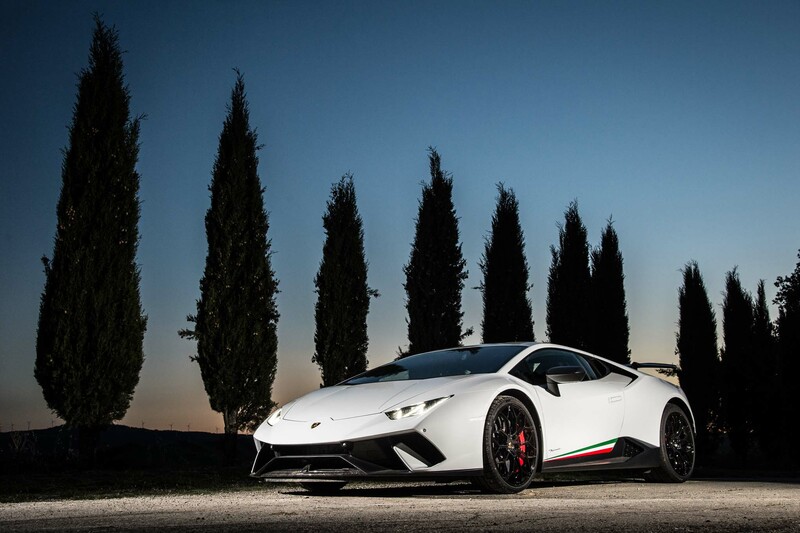 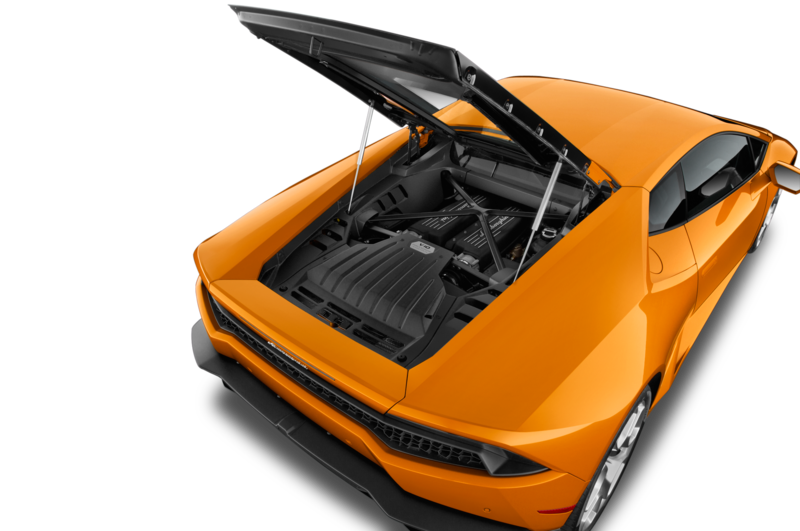 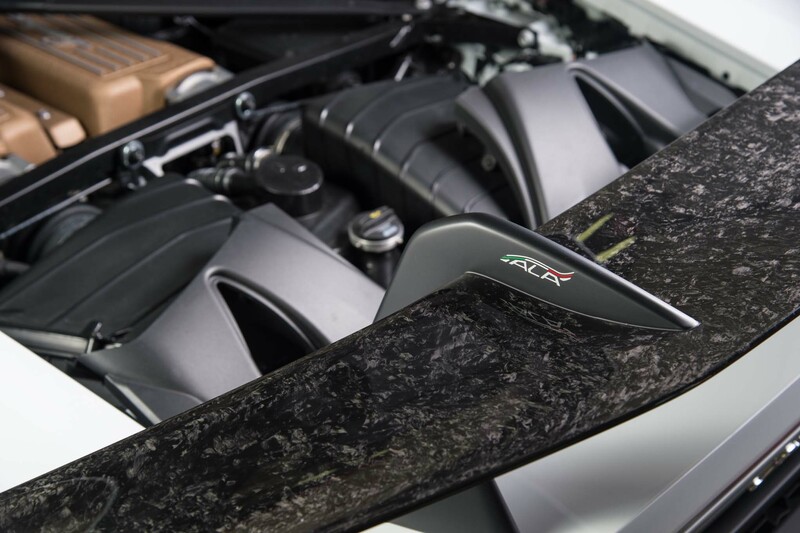 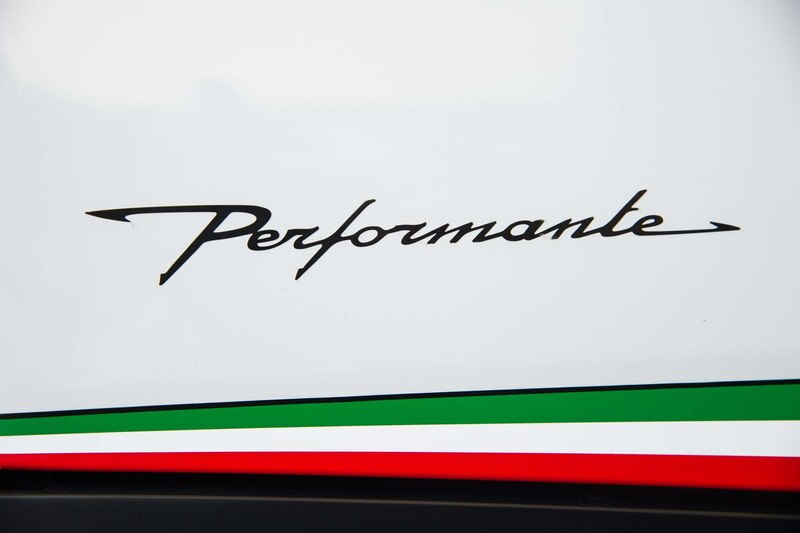 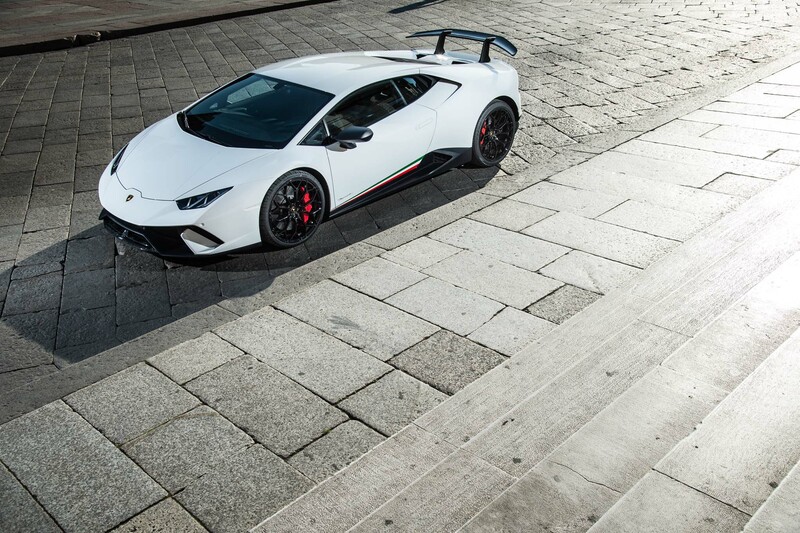 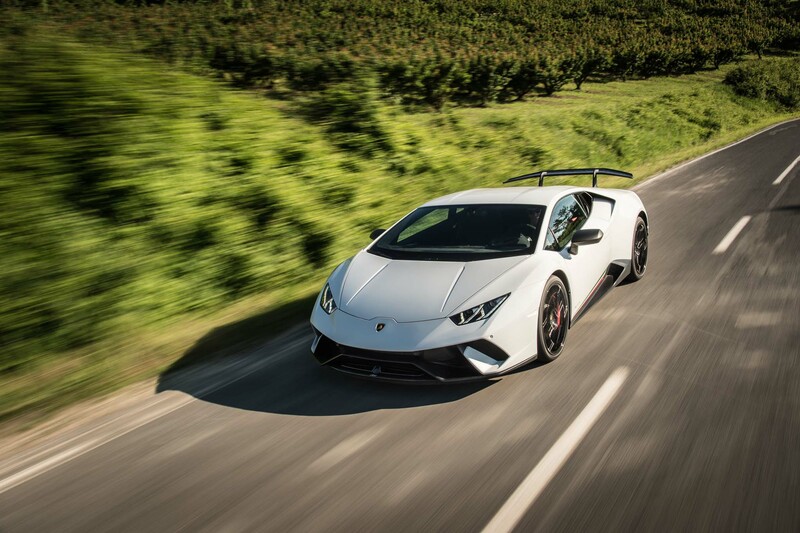 For Performante duty, the engine receives new titanium valves, a new exhaust, and general performance tuning. 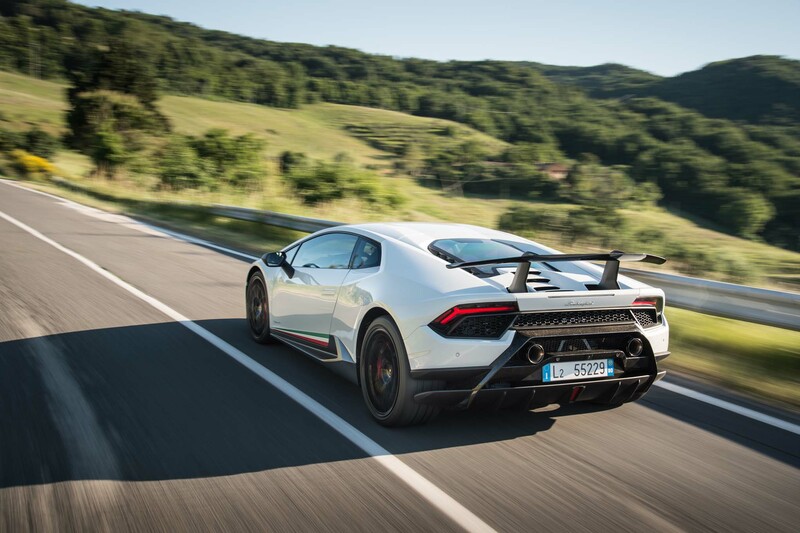 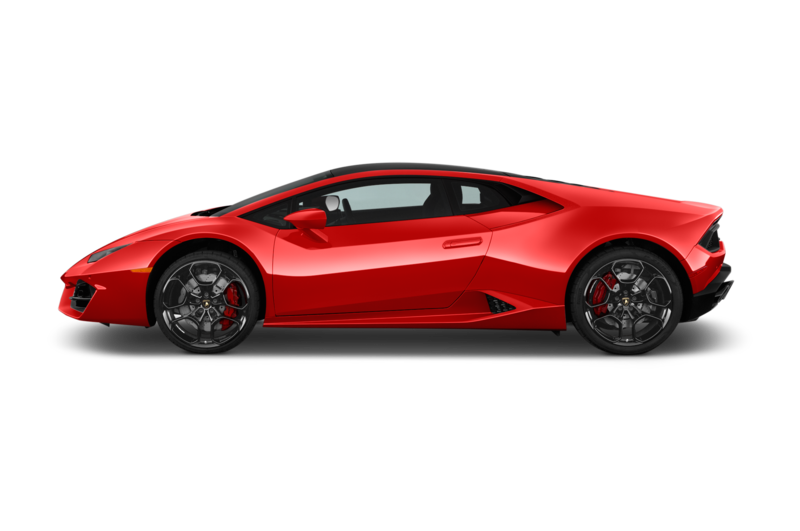 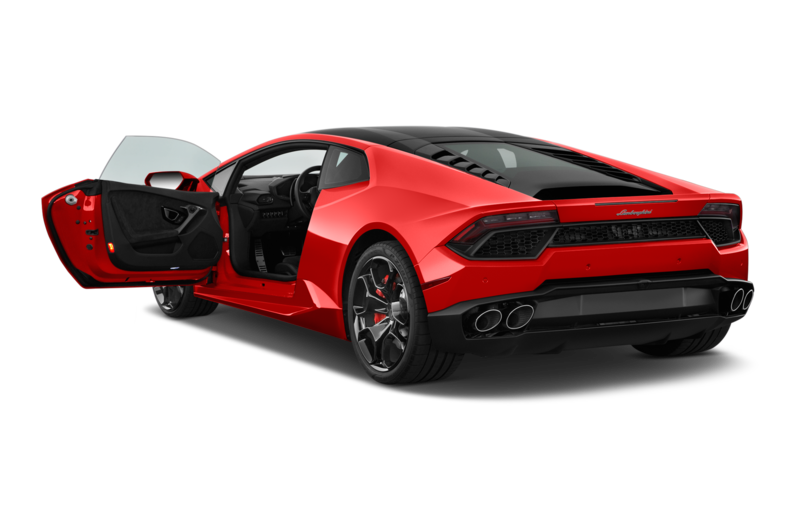 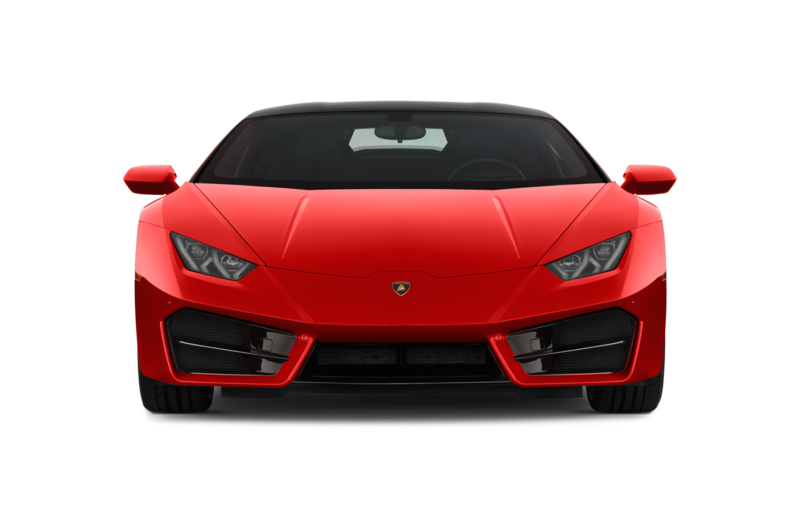 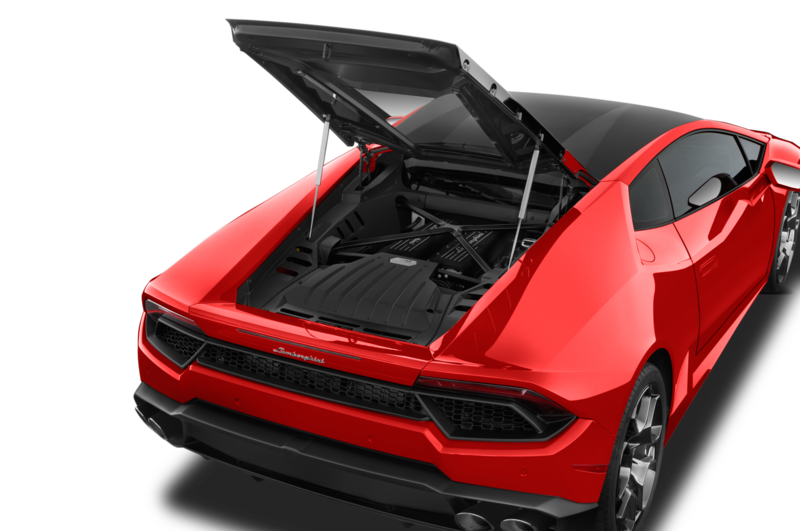 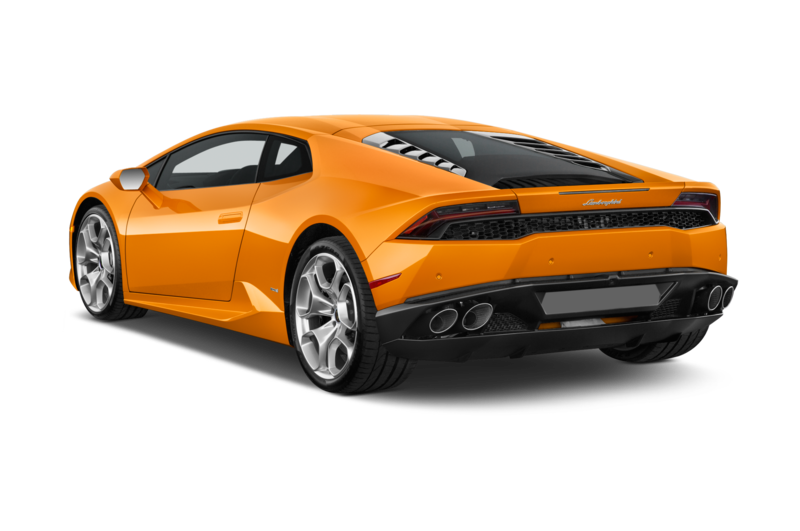 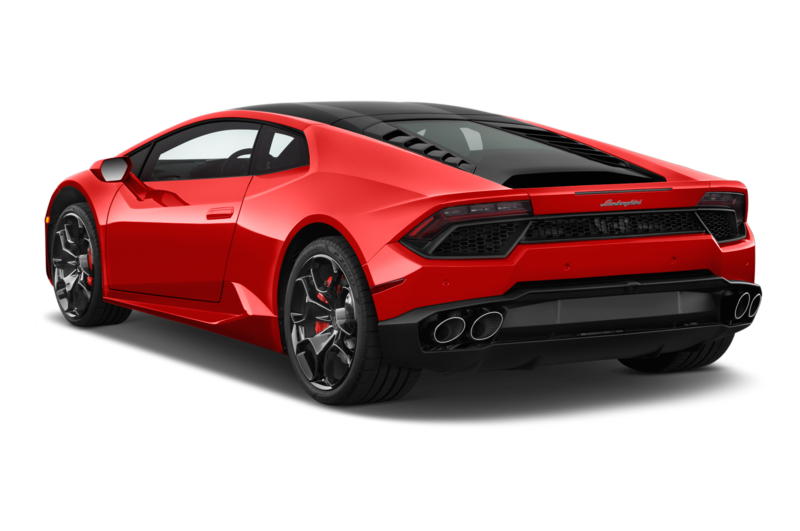 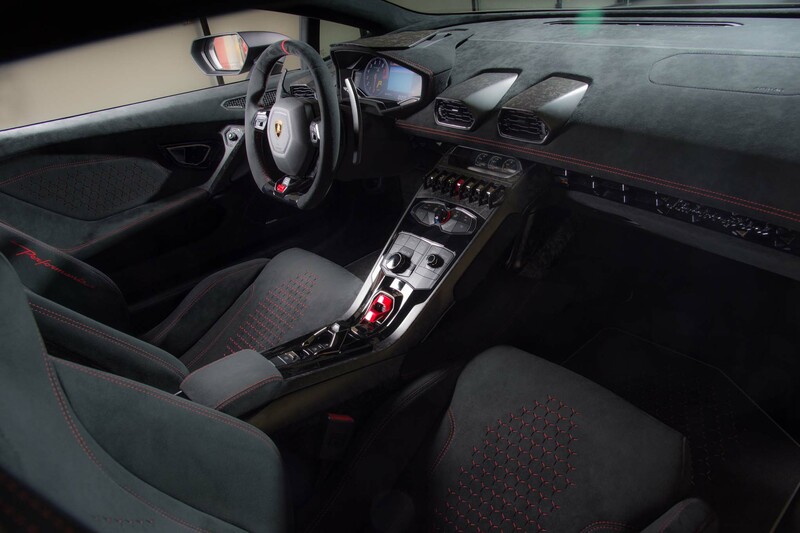 Dry weight is listed as 3,047 pounds, about 88 pounds lighter than a regular Huracán, accomplished without giving up any luxury or power-operated features. 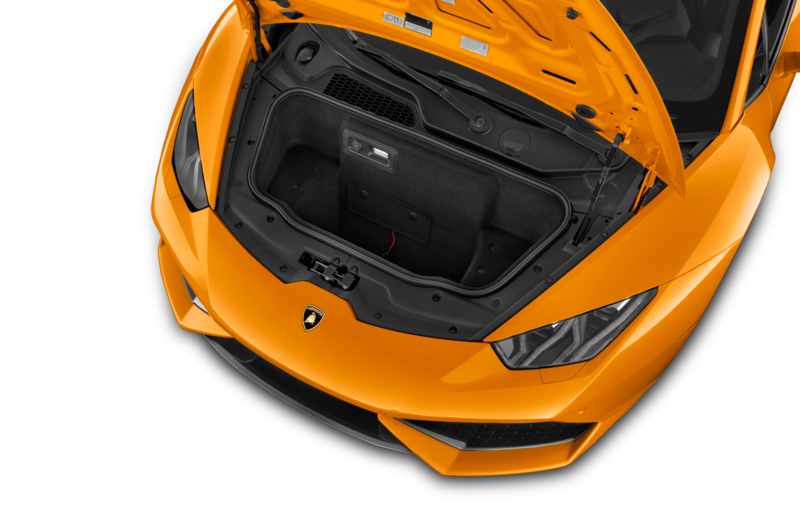 The rear half of the body is carbon fiber and composite, the front fenders and hood, which covers the smallish luggage area, are aluminum. 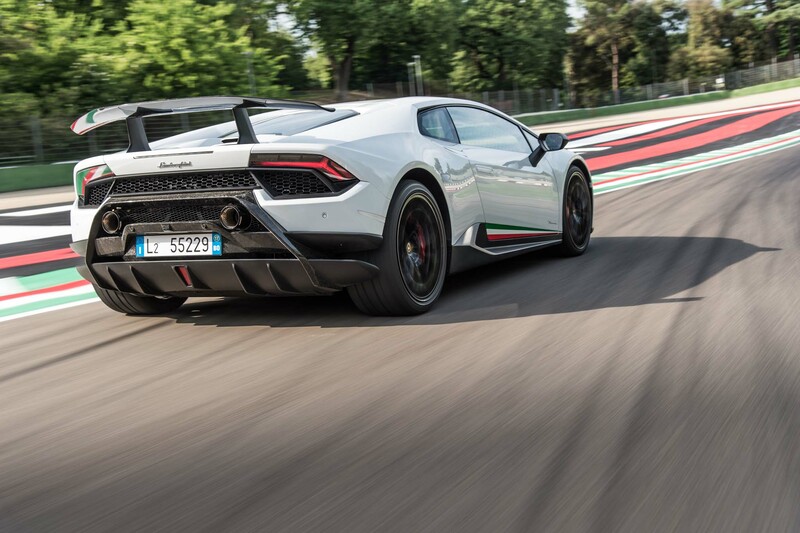 The engine is certainly formidable, but the star of this show is the precisely tuned chassis, especially when it’s in tandem with the (optional) magnetic suspension. 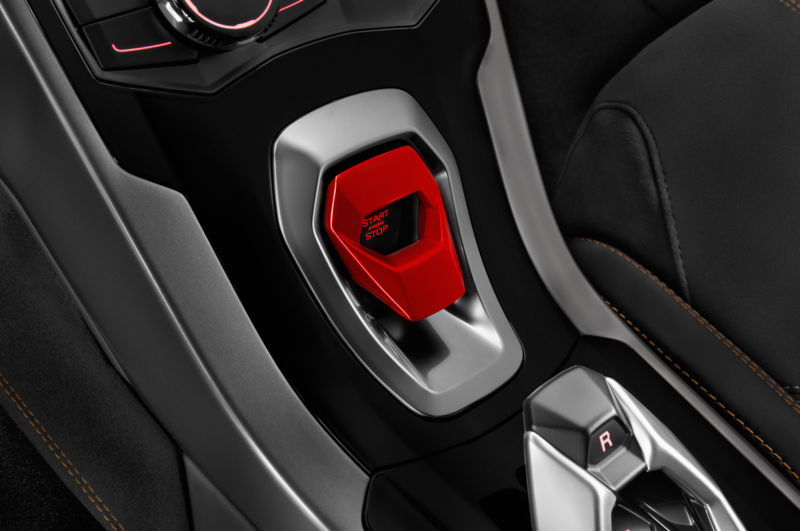 Add to that the superb seven-speed dual-clutch automatic, which could convince even the most diehard manual transmission advocates to trade their left pedal for a pair of paddles. 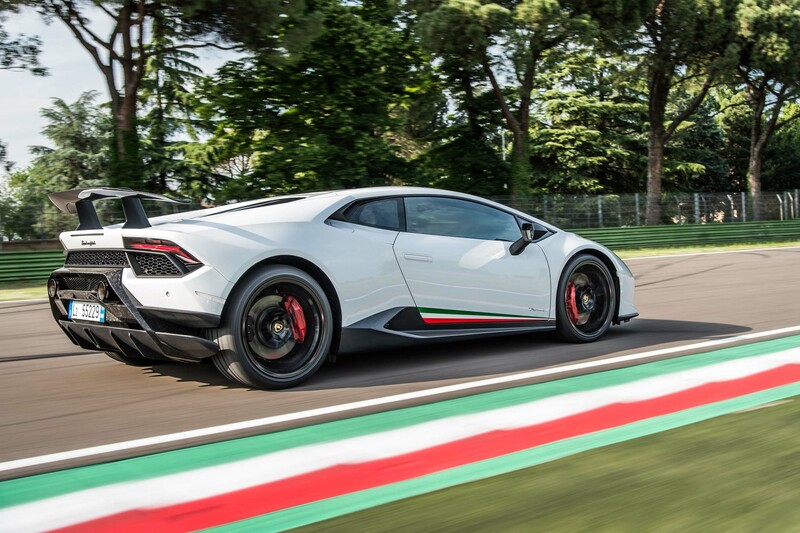 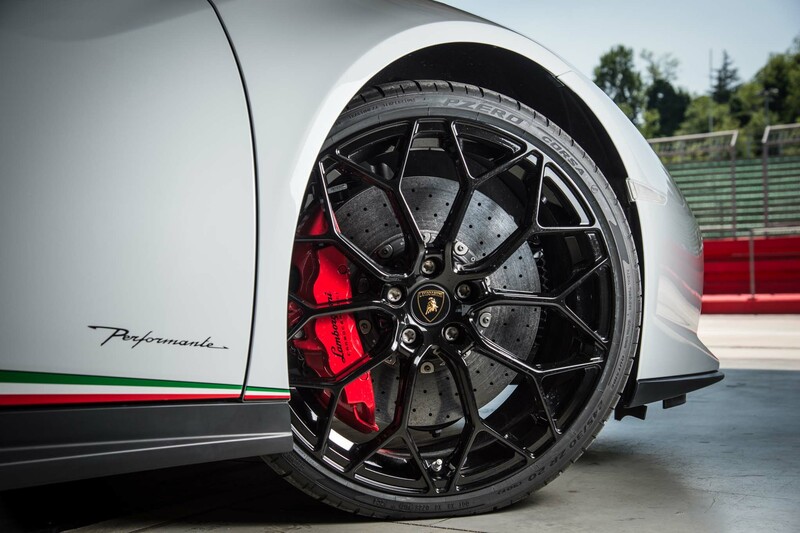 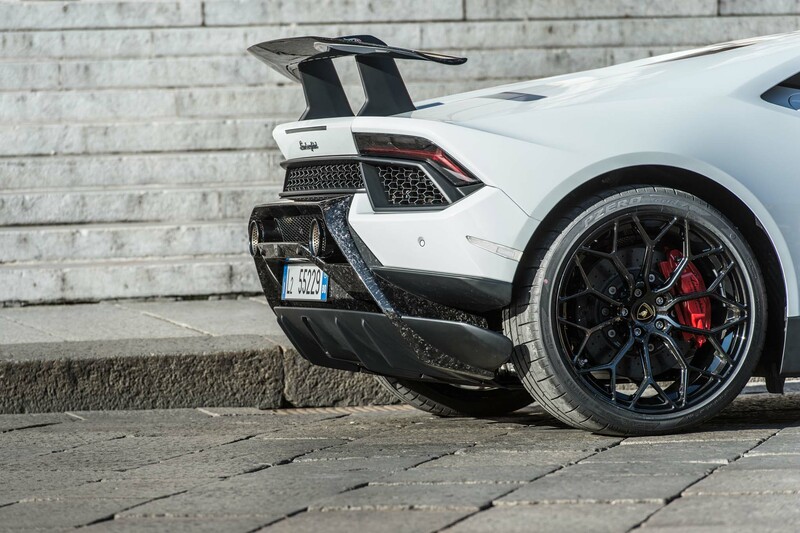 Throw in the massive carbon-ceramic brakes that refuse to fade, mated to the soft-but-streetable (treadwear rating is 80) 20-inch Pirelli P Zero Trofeos (245/30 front, 305/30 rear), and the Huracán Performante is a downright tossable supercar that tolerates all but the most egregious on-track conduct. 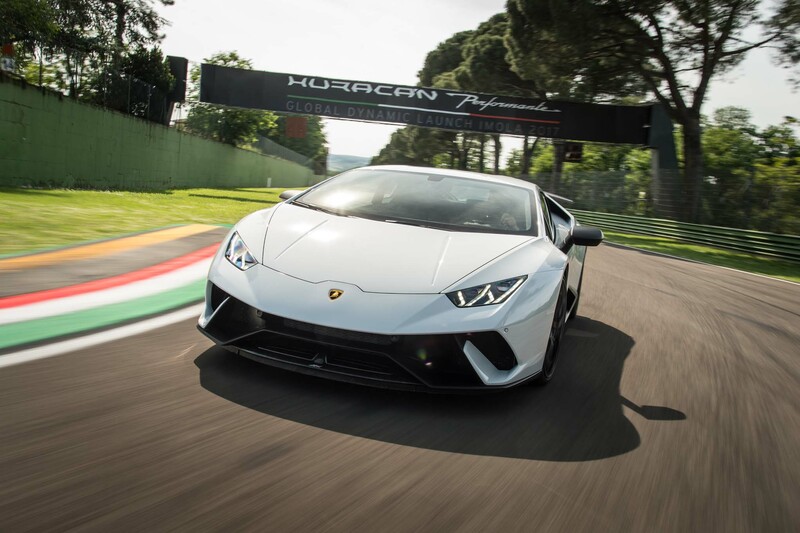 Unlike the regular Huracán, you never know you are in an all-wheel-drive car. 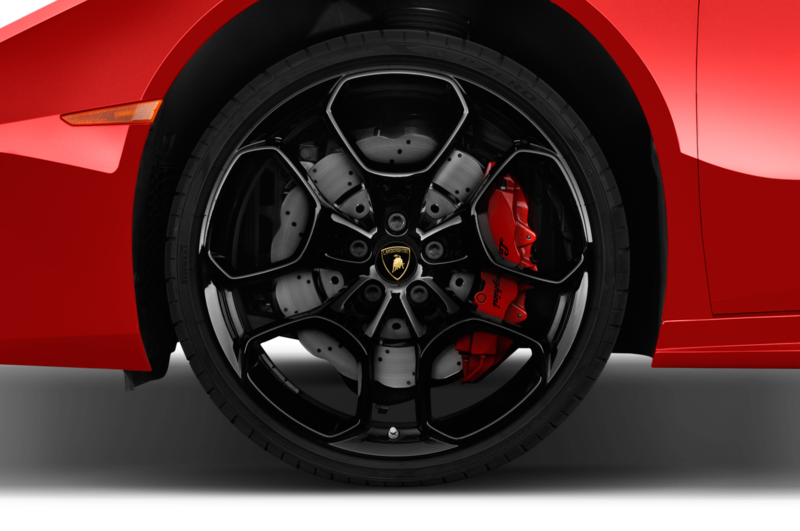 It’s a credit to the Haldex Gen V AWD system that it can be tuned out of your consciousness. 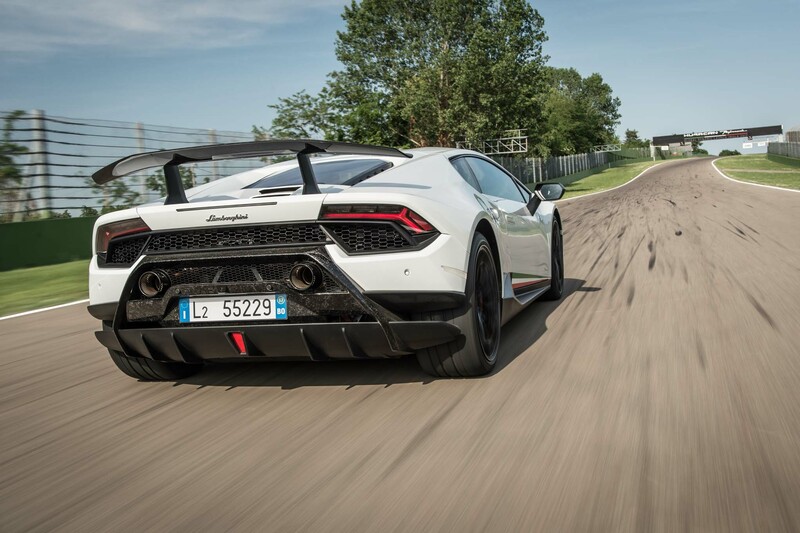 Lamborghini CEO Stefano Domenicali, justifiably proud, said we could easily see 169 mph on Imola’s front straight. 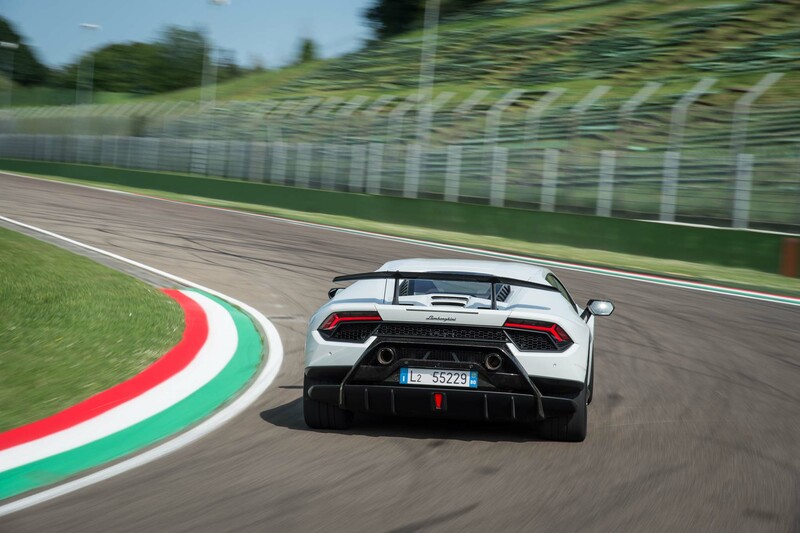 Given our lead-follow limitation, the most we saw was 152 mph, which still required some stand-on-it braking before the fast-approaching downhill lefthander. 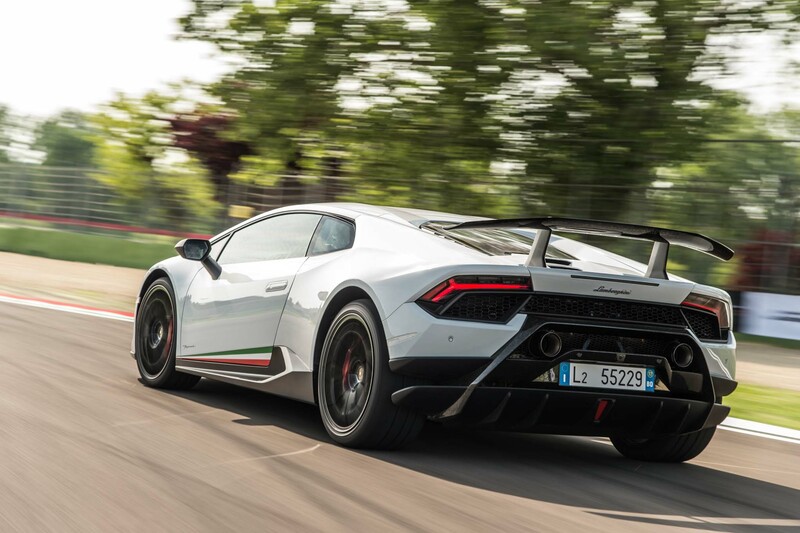 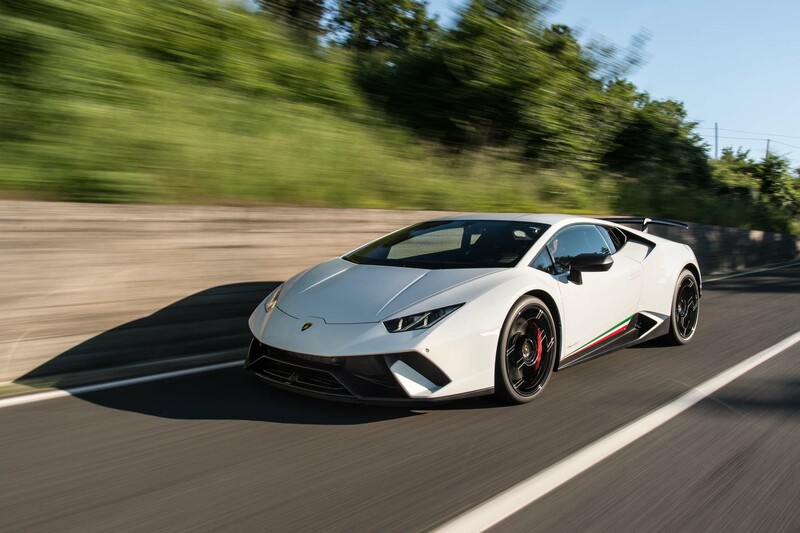 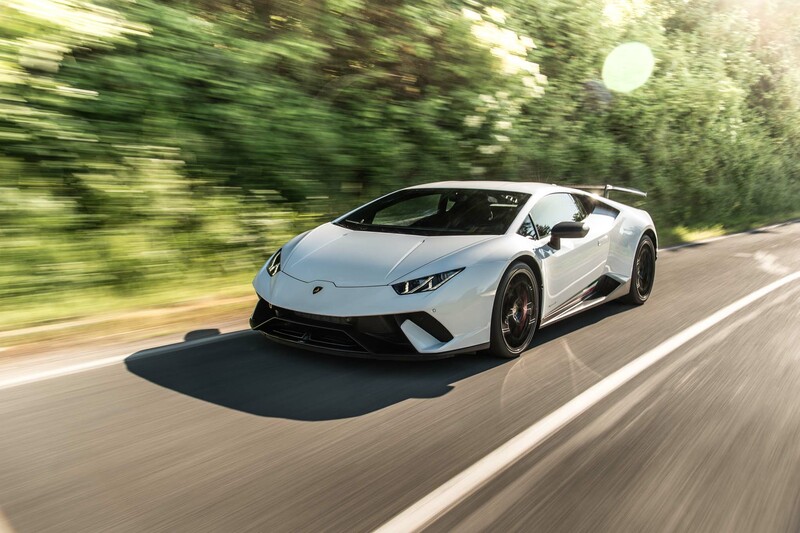 The Performante moves around a bit under hard braking from high speeds, but this is after al, a car with 43/57 percent front/rear weight distribution, so a little rear-end wiggle is not a crisis. 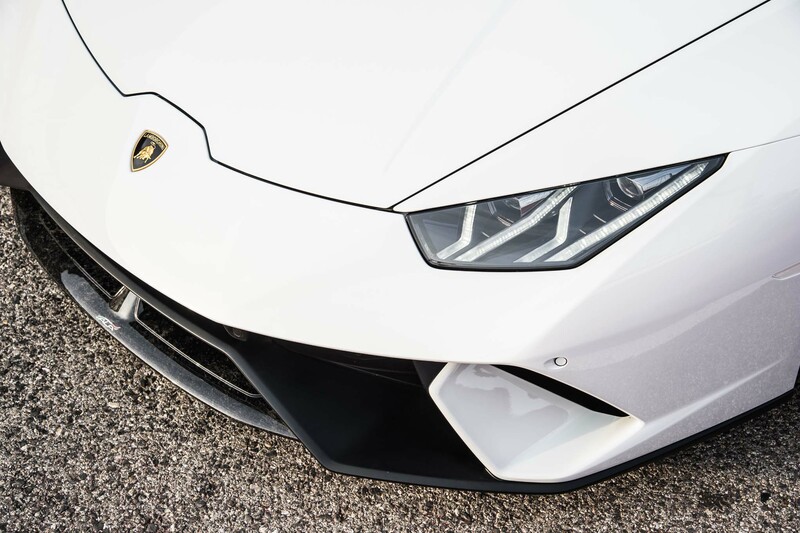 It’s never scary, just attention-getting. 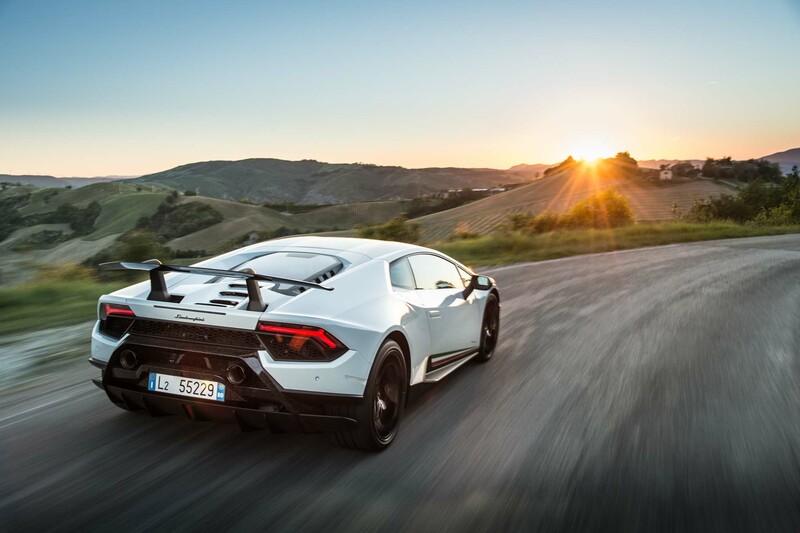 Lamborghini claims a 0-62 mph time of 2.9 seconds, and a 0-124 mph time of 8.9 seconds, both credible. 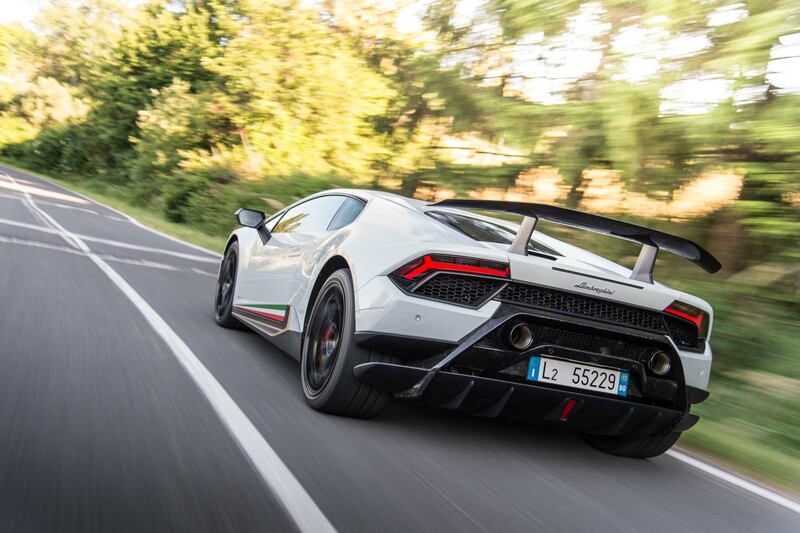 Top speed, Lamborghini says, is 202 mph. 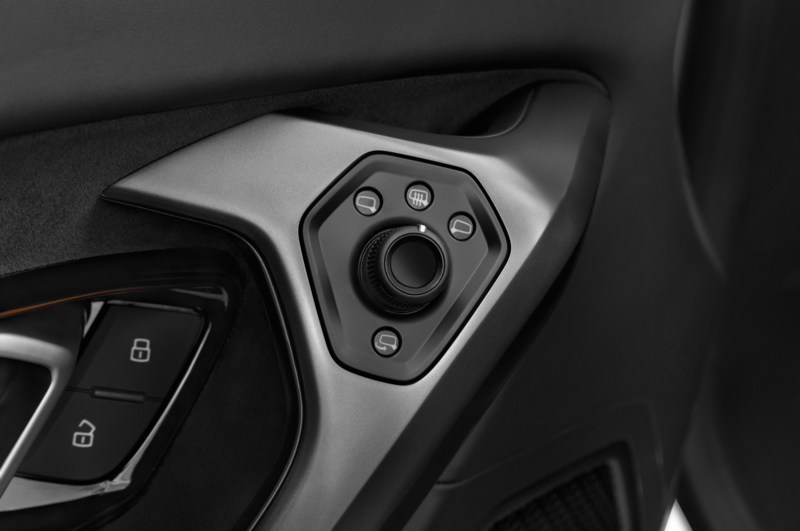 Chassis and suspension are stiffer, which becomes especially evident when you select the Corsa electronic chassis mode. 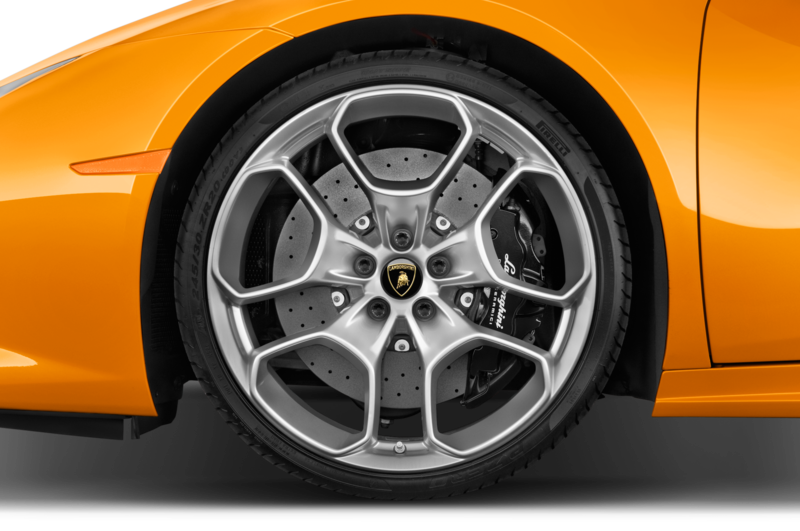 This one is for track use only unless you’re one of those few masochists who demand to know the exact depth and width of every pothole on the street. 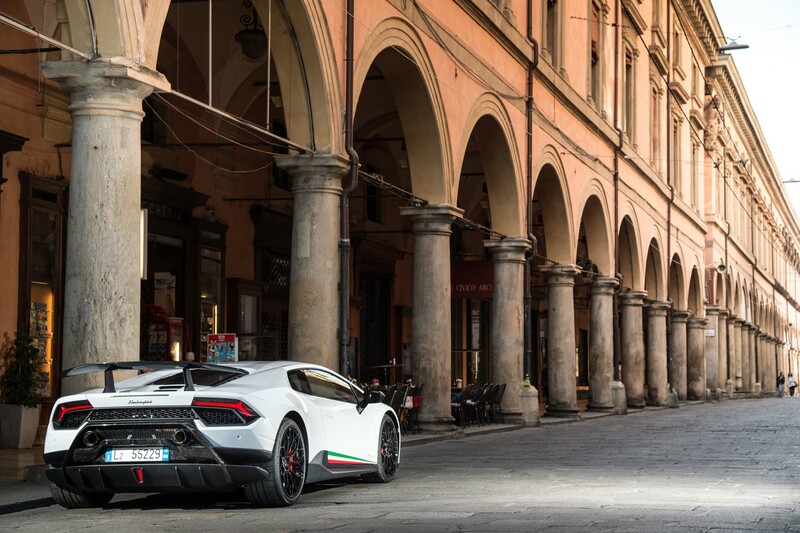 Choose Strada for the city and Sport for spirited rural driving. 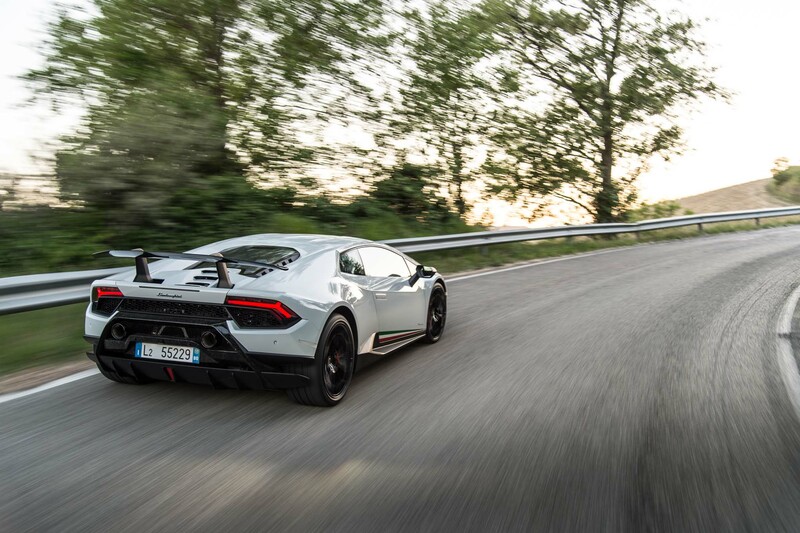 Even in Strada, however, the Performante’s ride is pretty rough on all but the smoothest roads, but it’s at least tolerable. 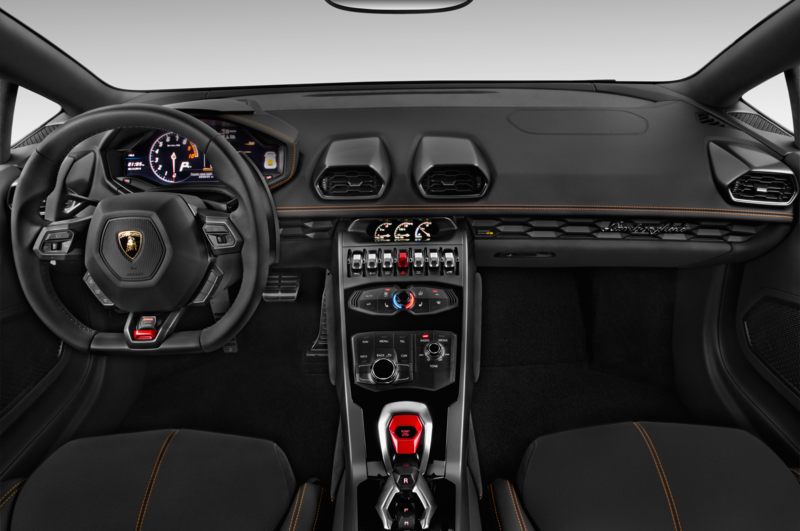 Feel free to paddle-shift in the city if you want, but the transmission is more than comfortable taking over shifting duties, performing like any good automatic. 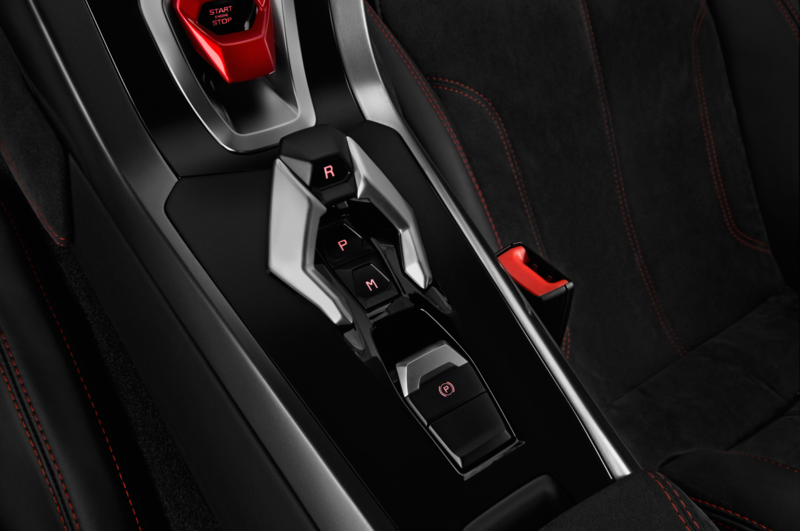 Amazing how far dual-clutch transmissions have come. 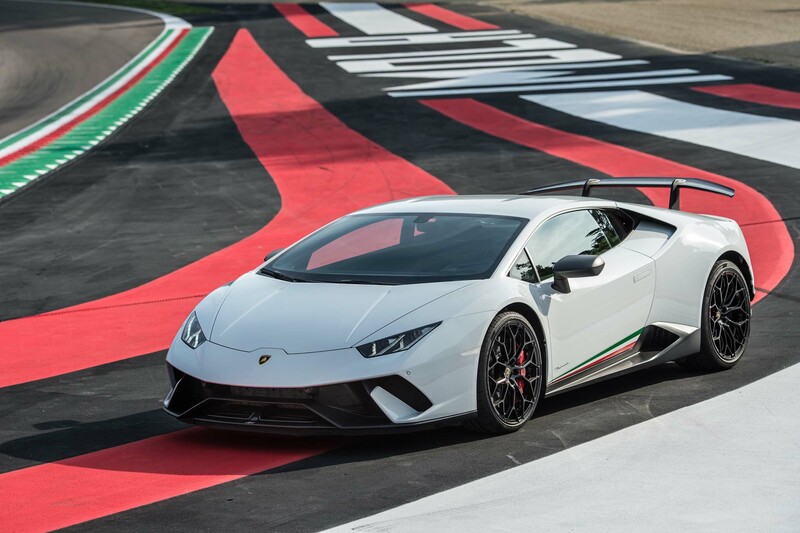 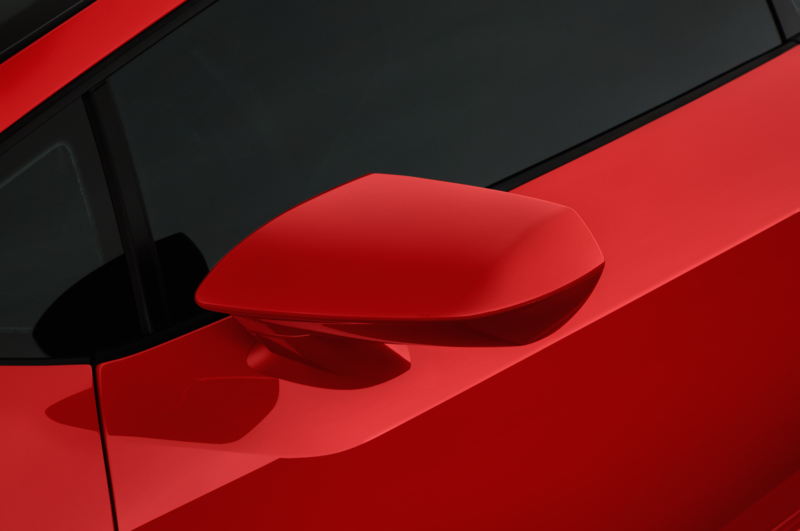 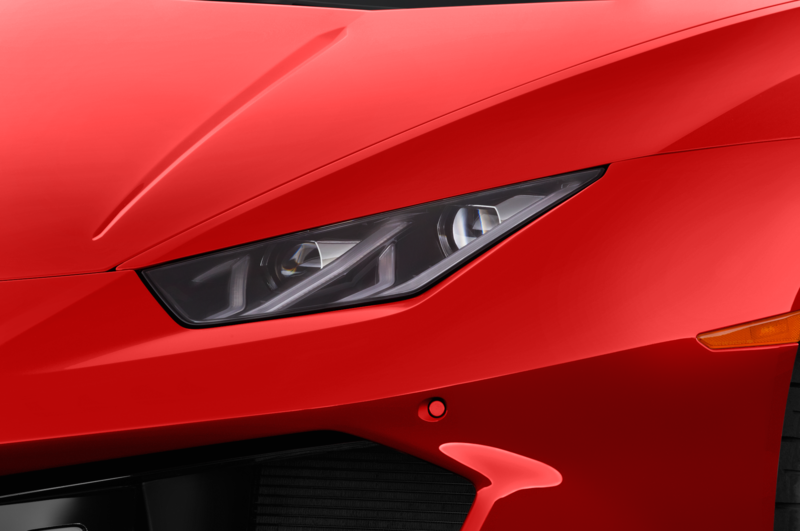 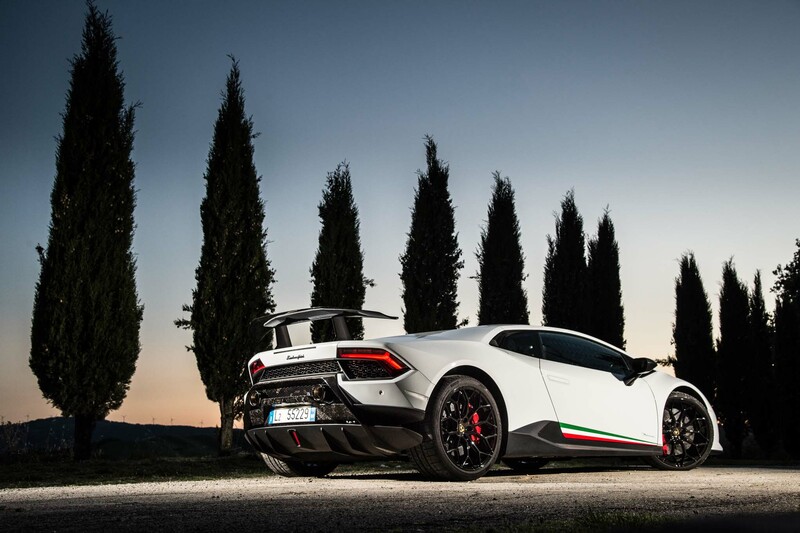 But what Lamborghini seems proudest of is the Huracán Performante’s sophisticated aerodynamics kit. 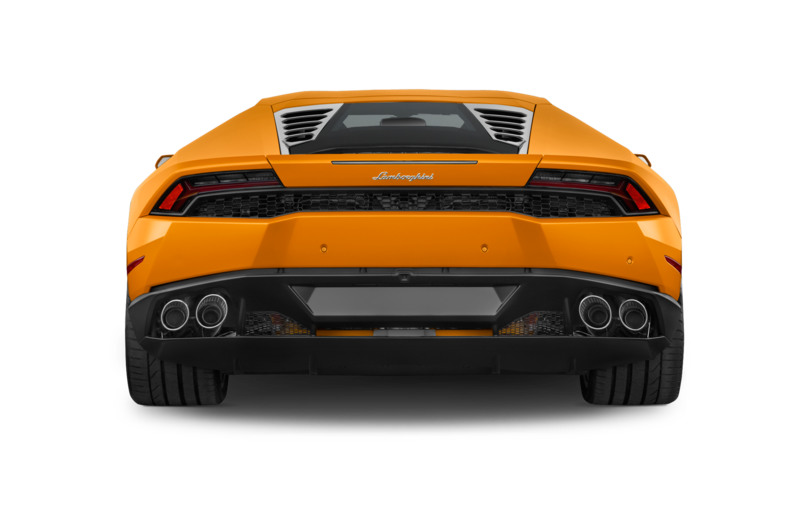 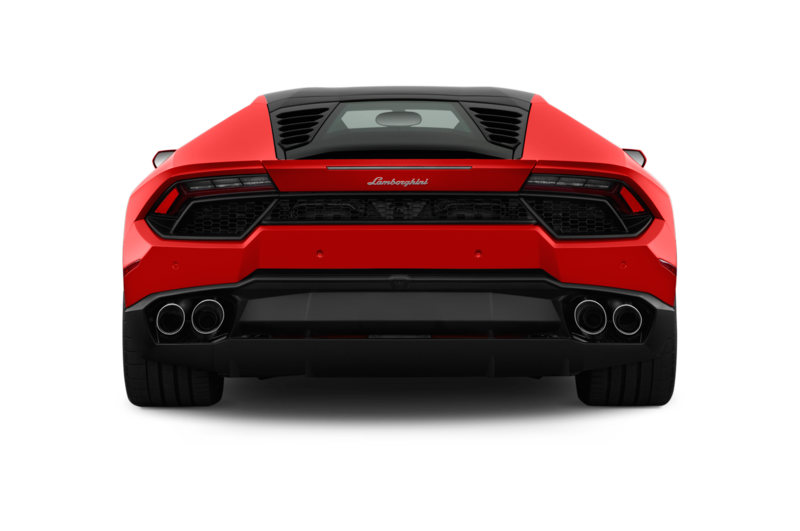 Called Aerodinamica Lamborghini Attiva, or ALA for short, it’s a complete front-to-rear system for managing air and maximizing downforce. 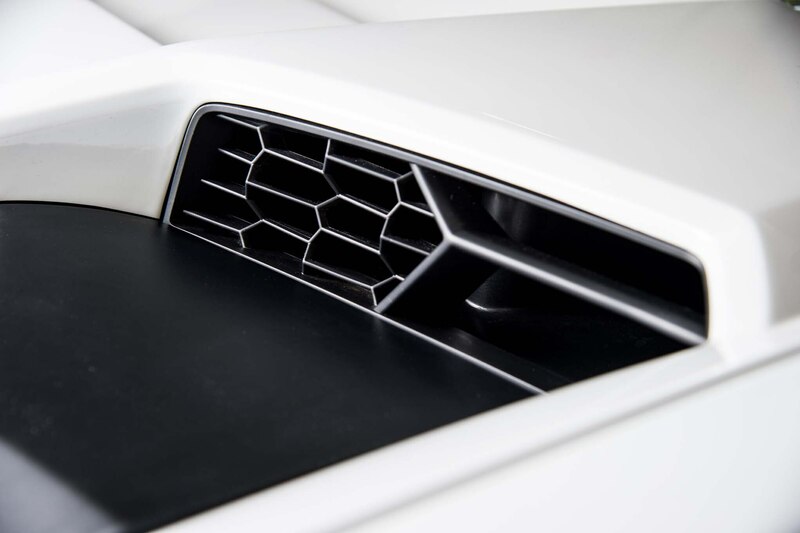 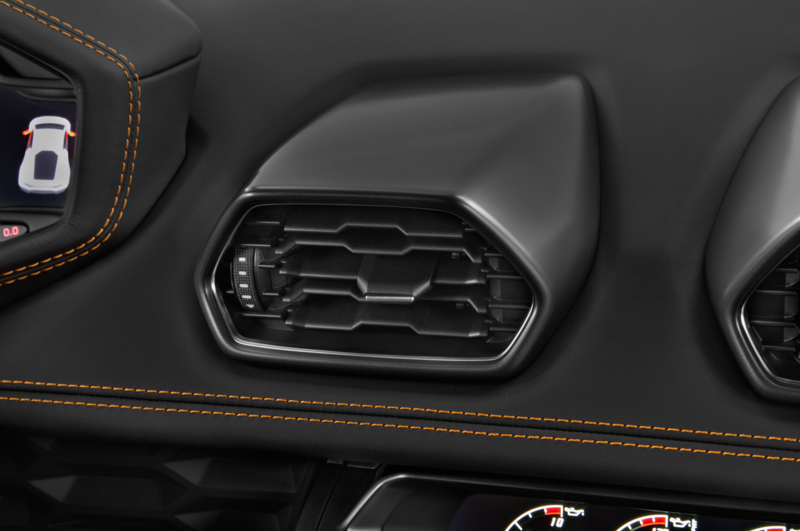 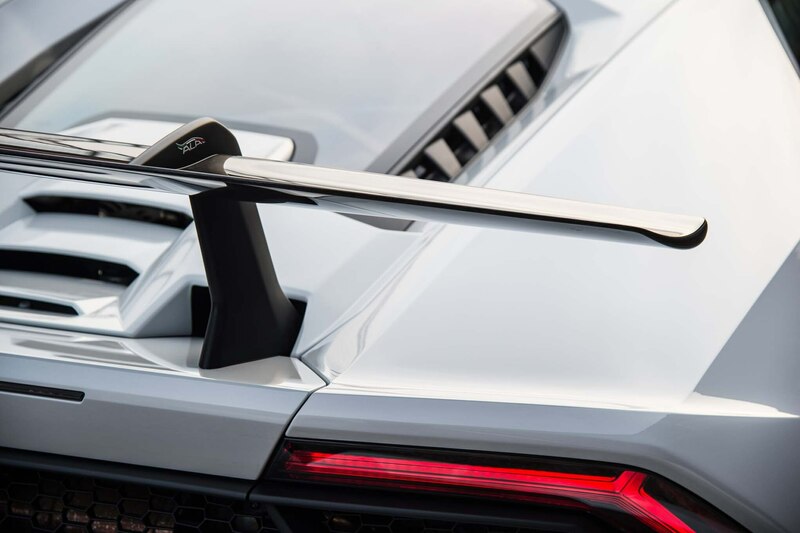 There are electronically controlled flaps in the front and rear, with the front flaps opening to allow air through the grille and under the car, while the rear flaps send air up to the wing in heavy-downforce situations. 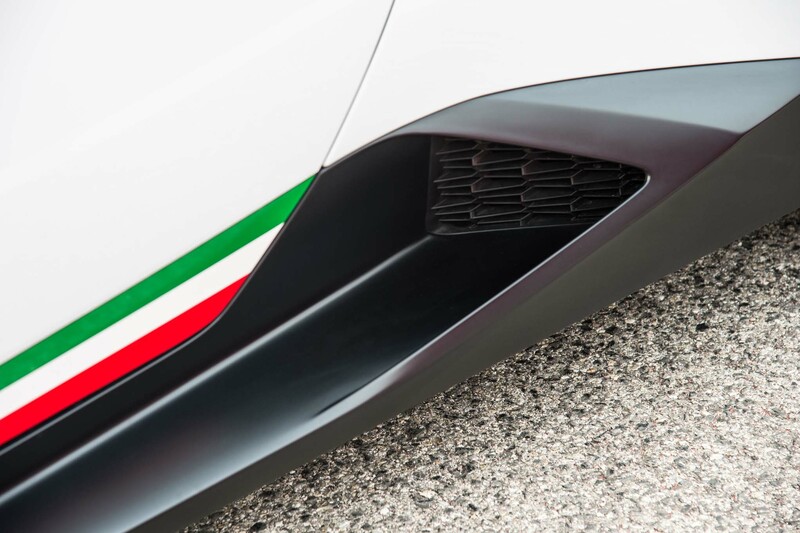 And there’s a channel that can shift air from one side to the other on the massive rear wing — we’re talking passenger side to driver’s side and back — as it senses which direction the car is turning. 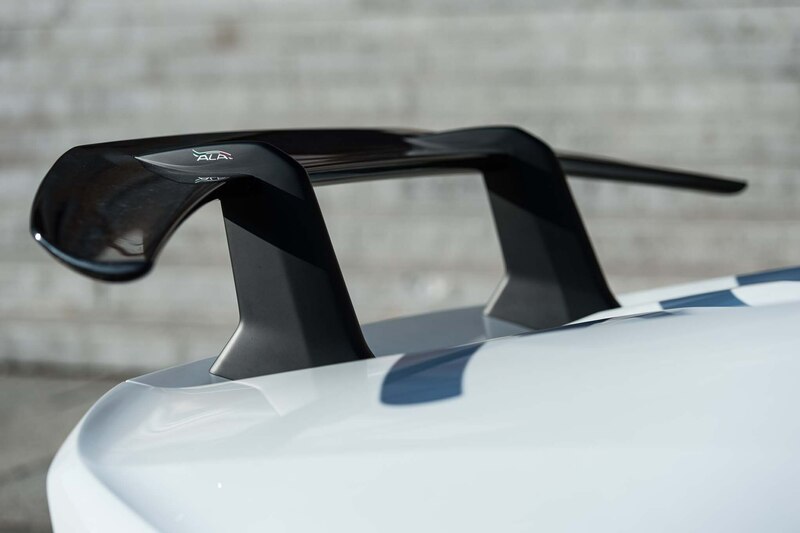 The idea is to adjust the downforce real-time on the inside and outside rear wheels for maximum grip. 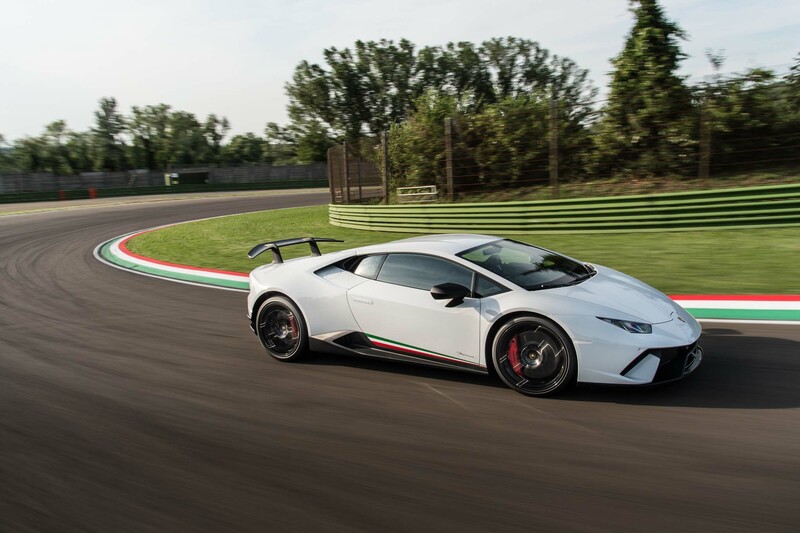 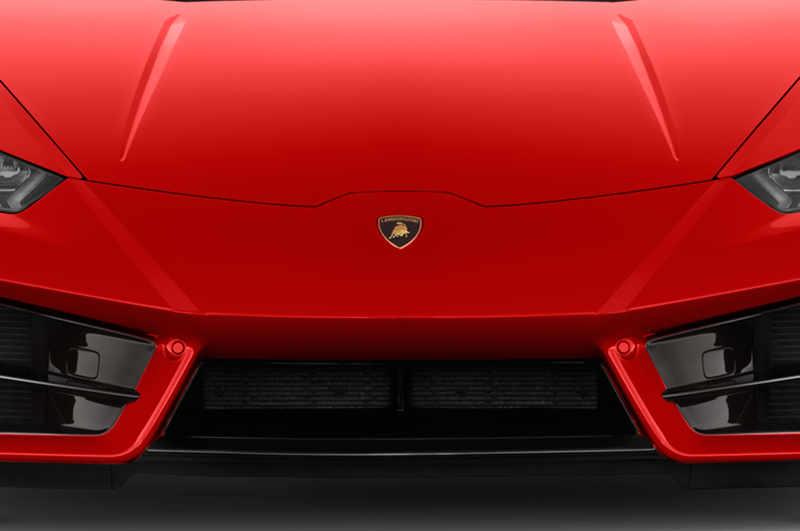 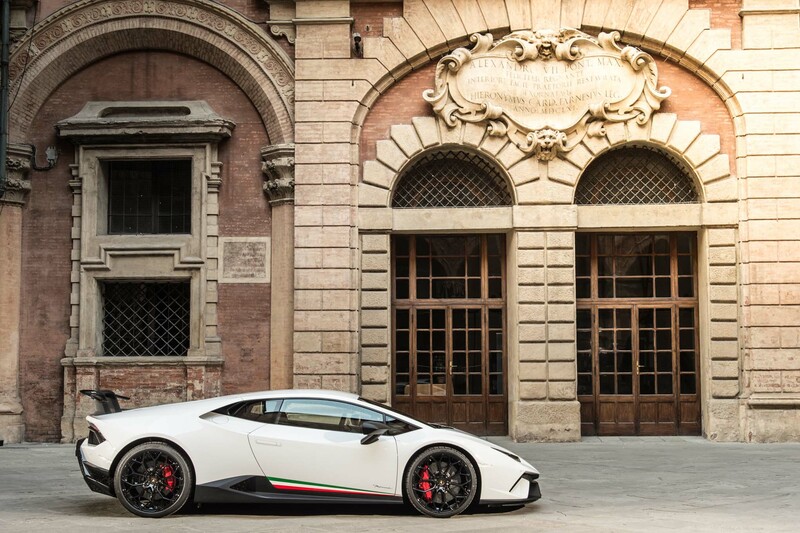 In all, Lambo claims a 750-percent increase in downforce compared to the regular Huracán. 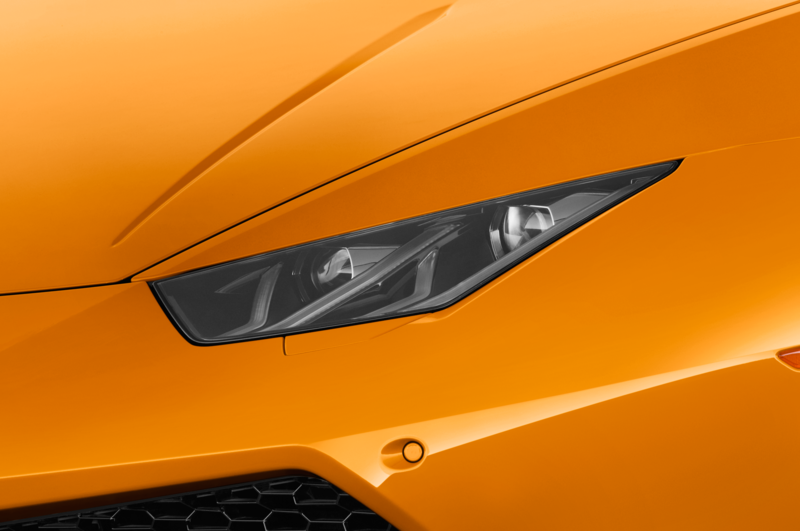 We will take Lamborghini’s word for that. 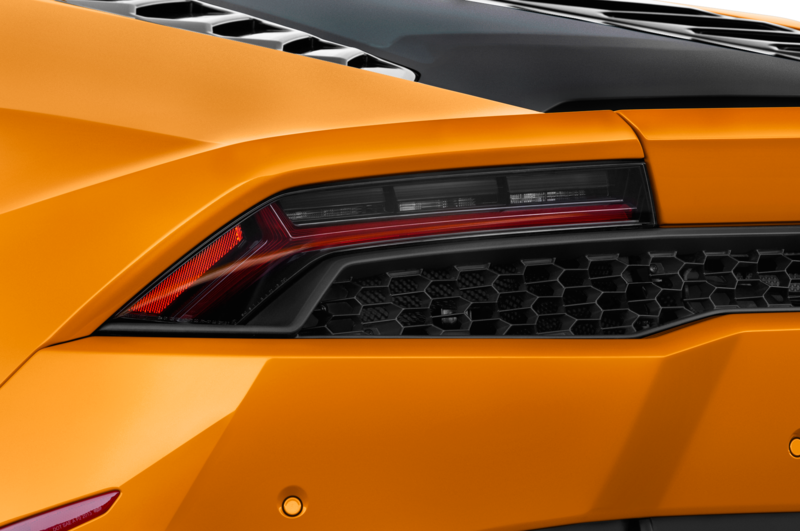 It will take more calibrated asses than ours to test the theory. 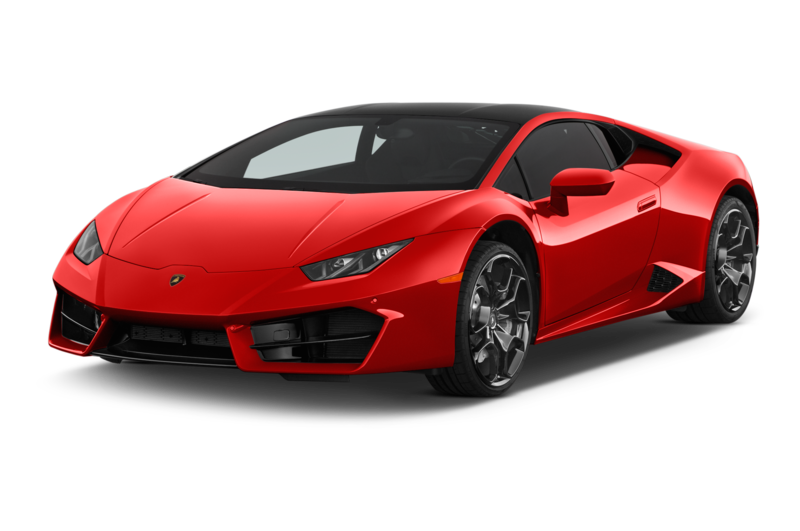 Regardless, ALA works. 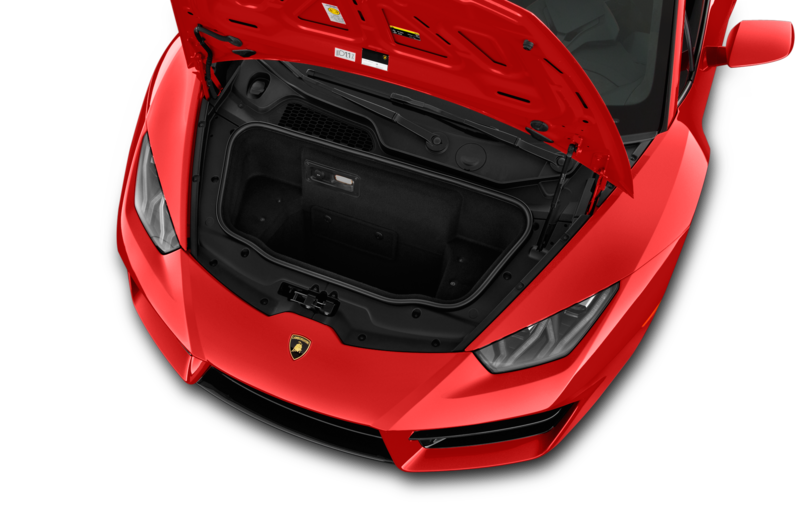 Hell, the whole car works. 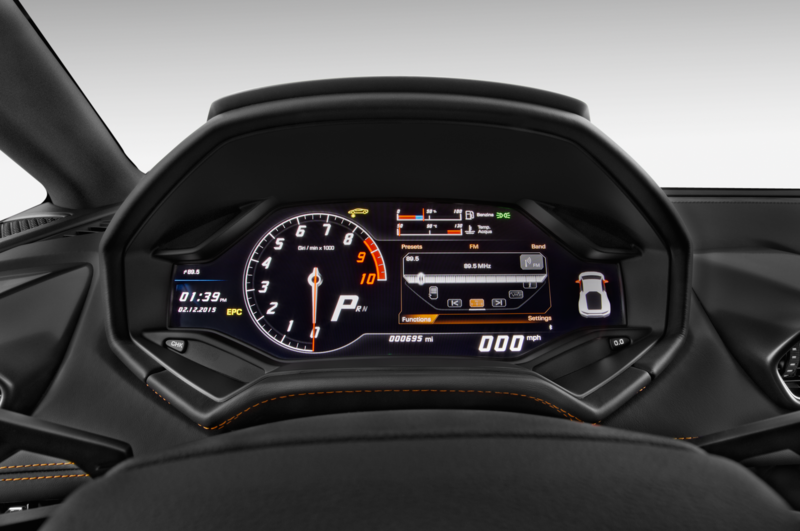 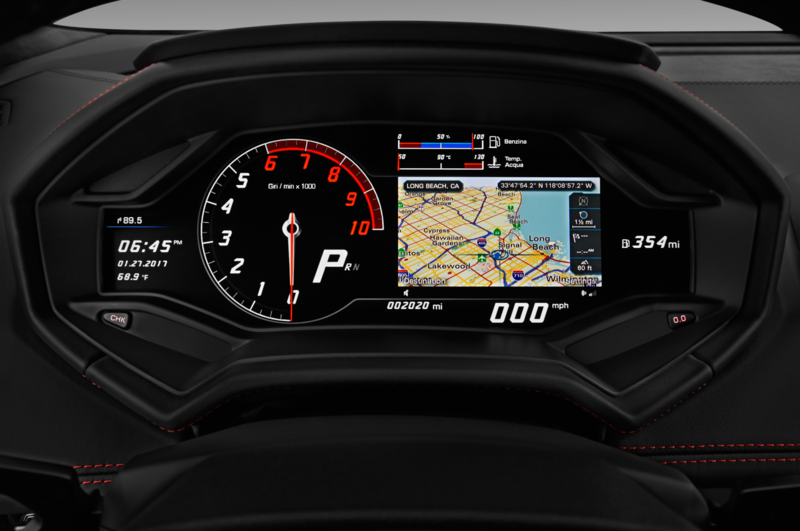 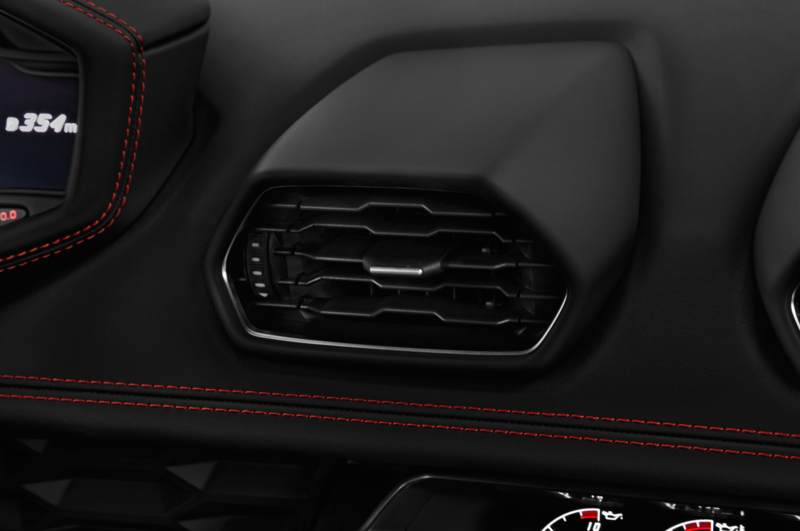 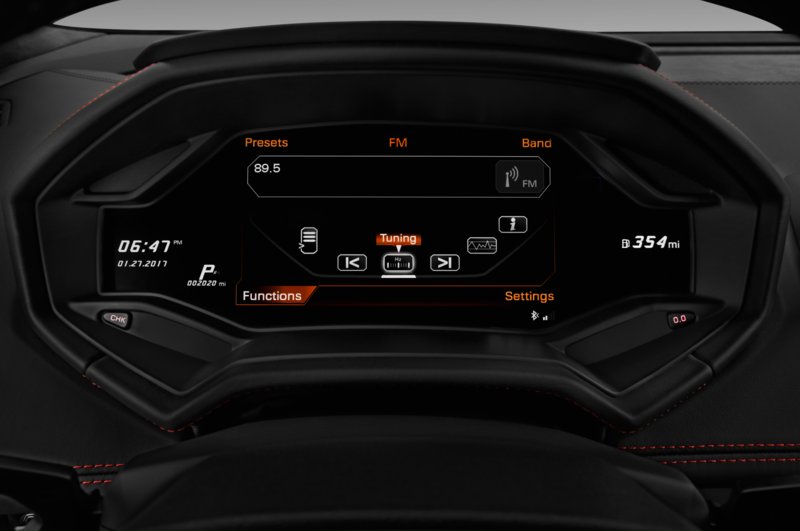 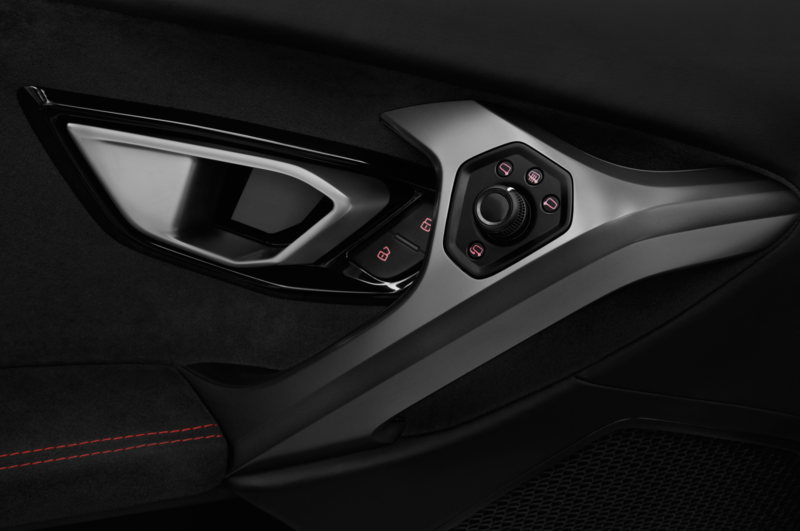 The Audi touches inside the cockpit are evident, and that’s a compliment. 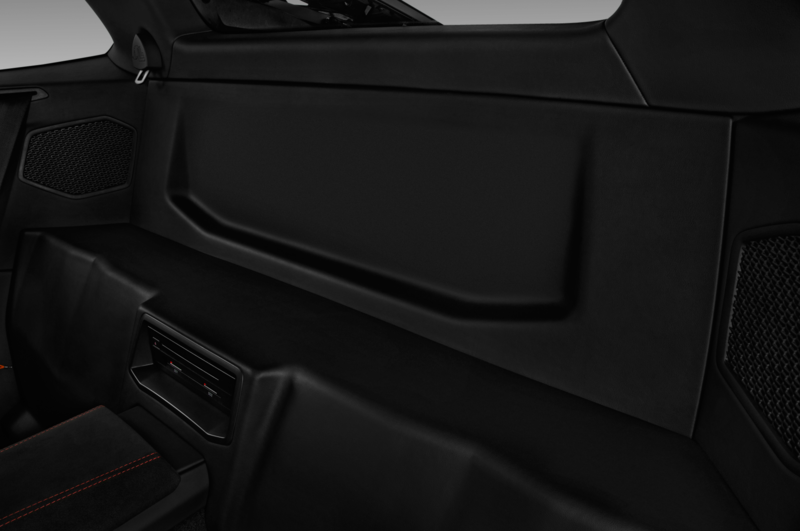 The sport seats are very comfortable and plenty supportive. 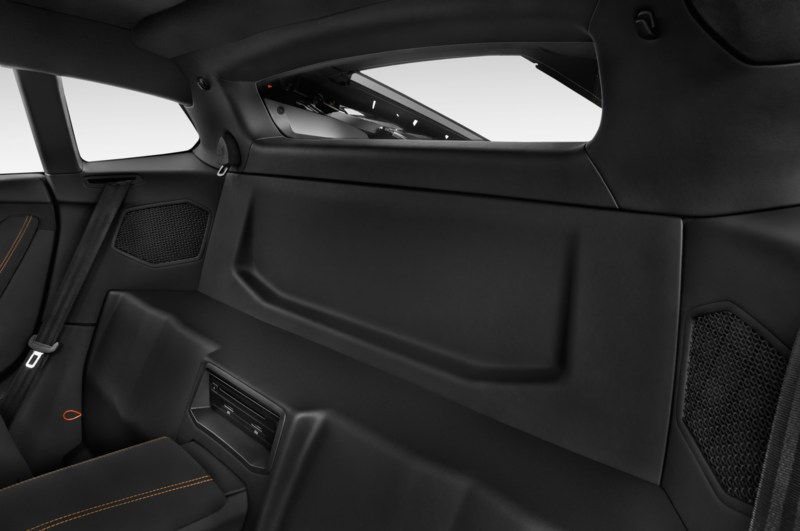 We suggest you think before ordering the optional racing-inspired seats, because the fixed-back units are awfully hard. 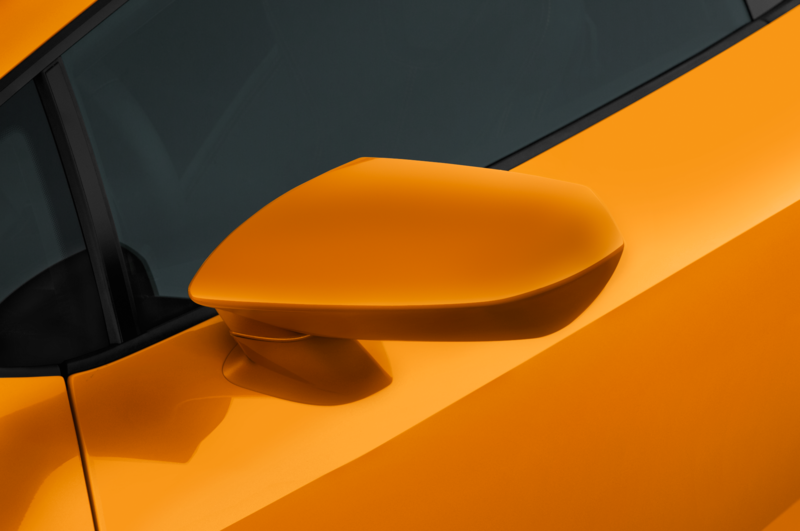 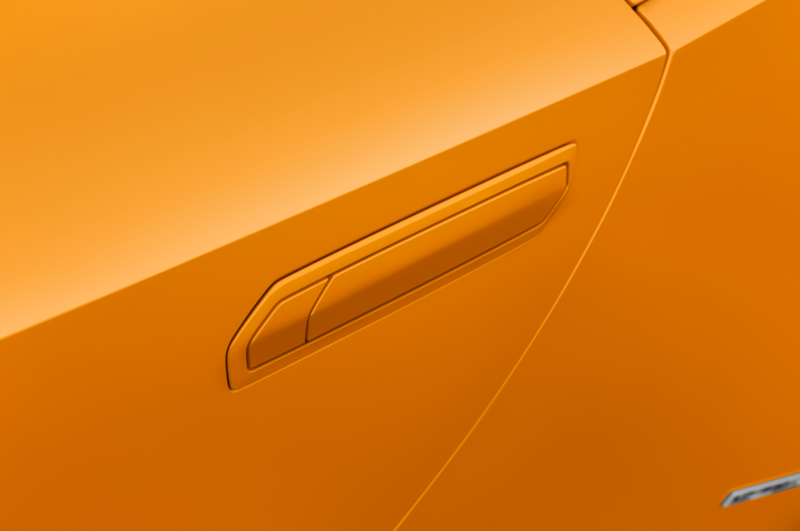 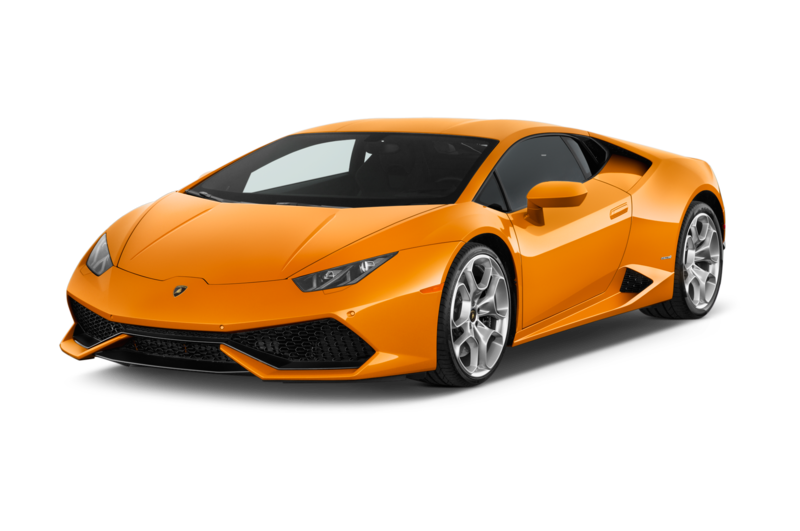 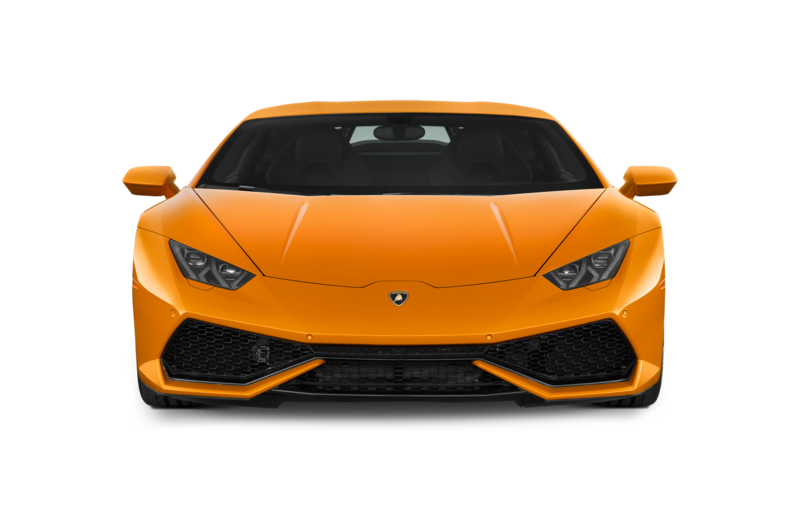 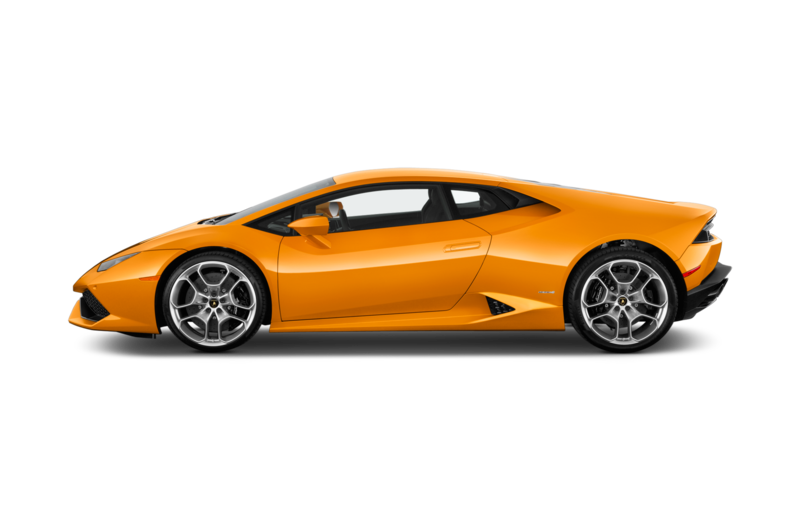 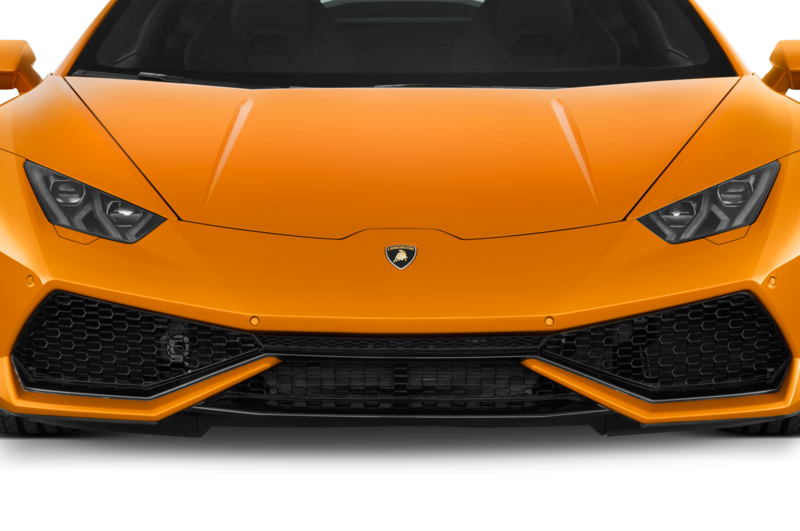 Typical for Lamborghini, the full Skittles-box palette of colors is available, including a matte orange (called Arancia Borealis) that seems The Chosen Color to introduce the car in the media, but it would be well down our list of choices. 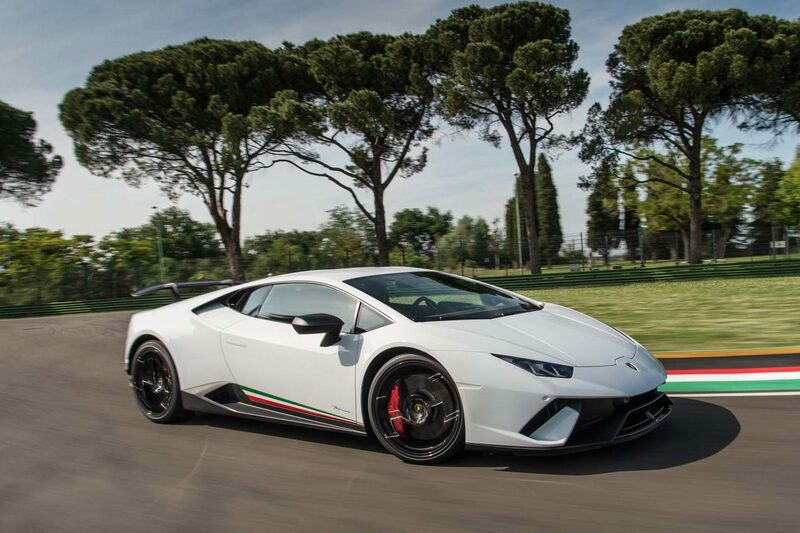 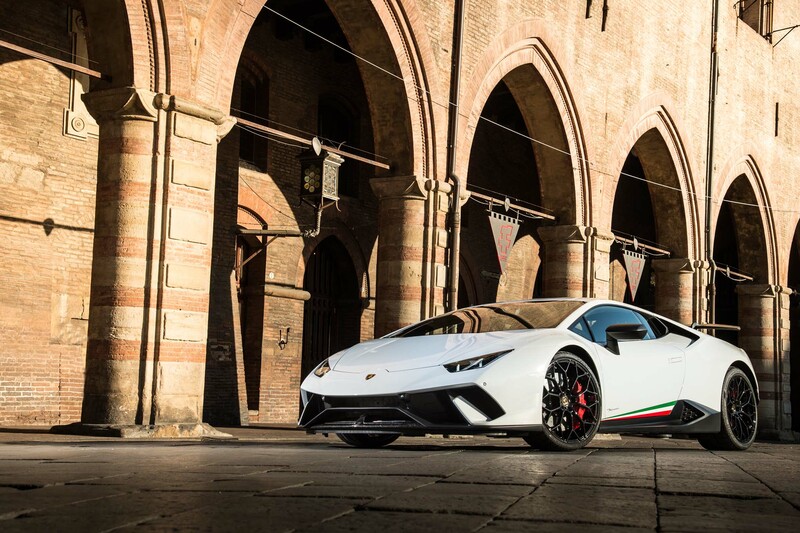 Outside, you’ll know the Performante mostly by the green, white and red rocker-panel stripes that remind you that yes, you hear a lot of German accents in the Lamborghini plant, but this is still a very Italian car. 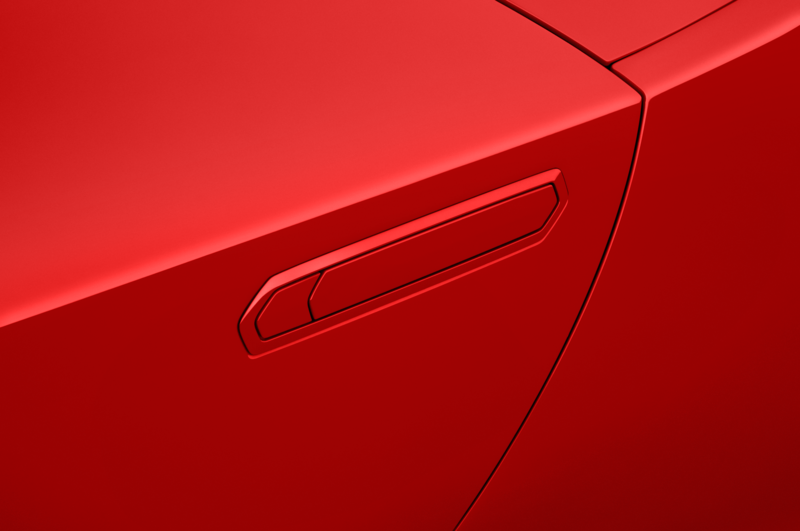 And one that advances the brand more than any of us expected. 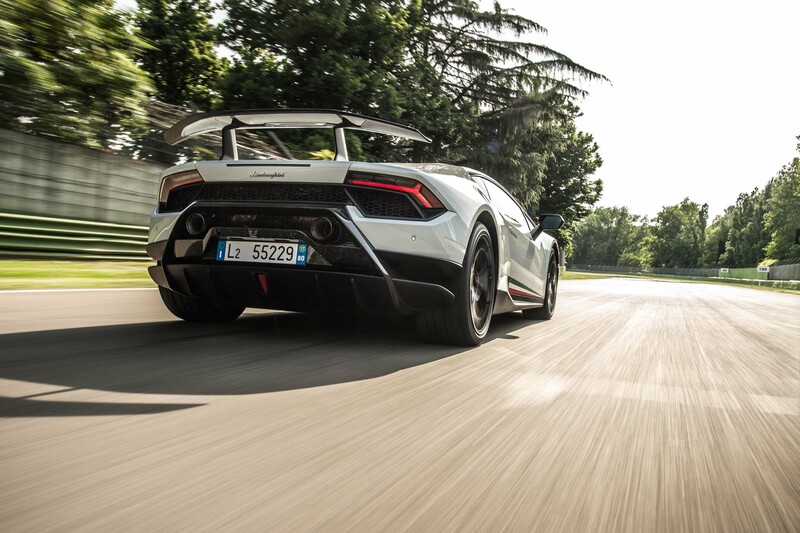 Taking off the Performante’s roof, well, it blows the roof off the mother.